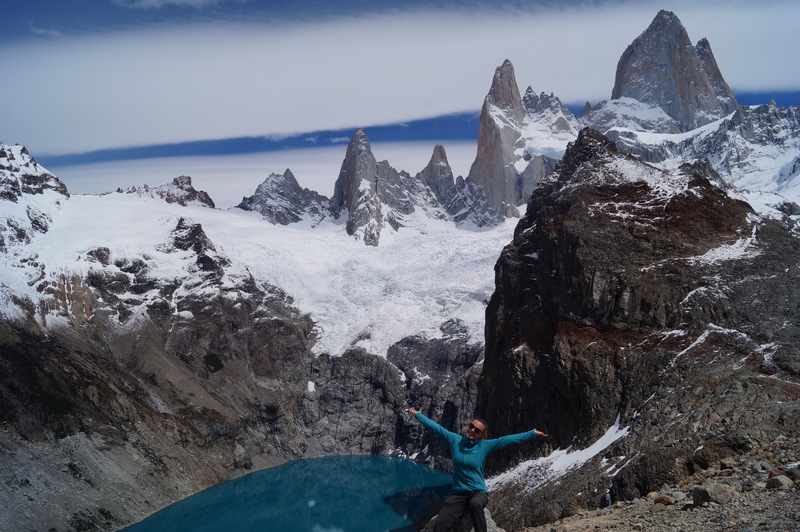 So I ran out of space on his blog. 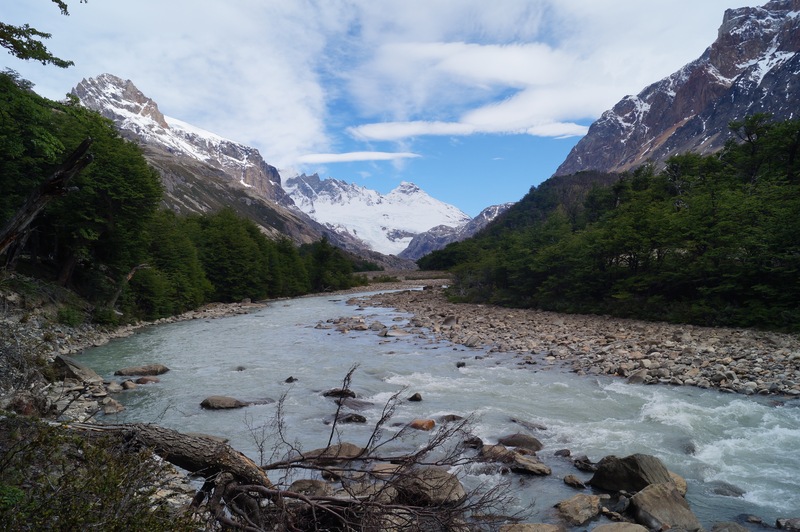 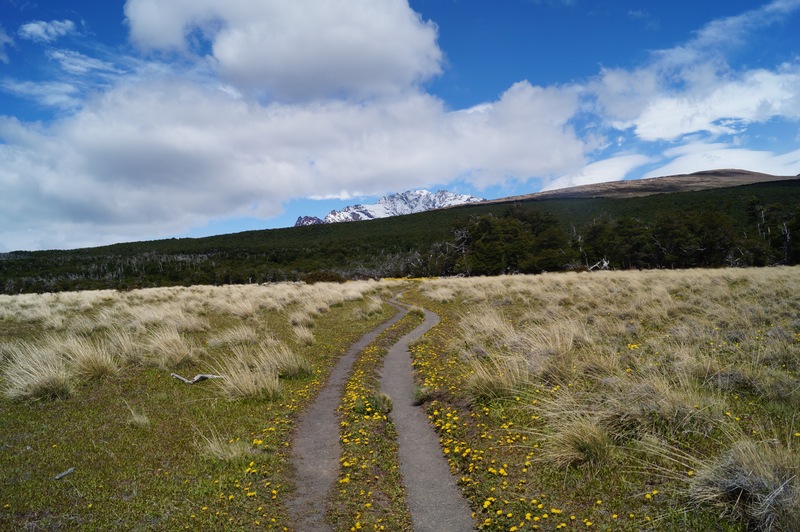 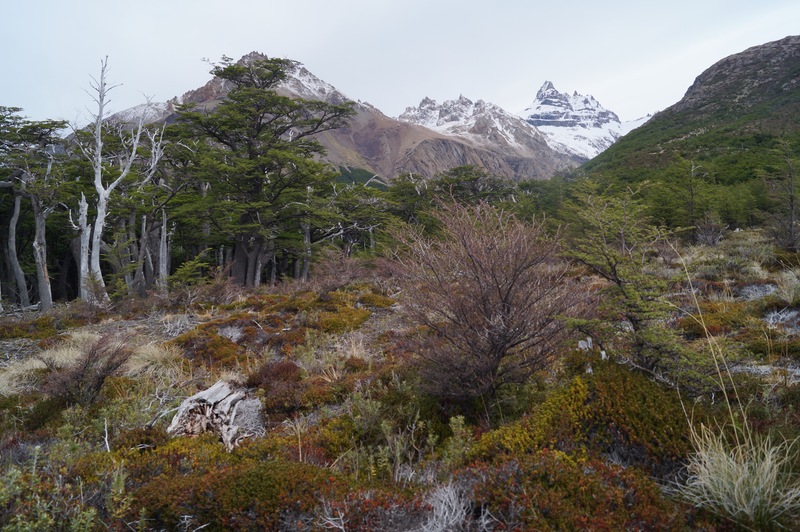 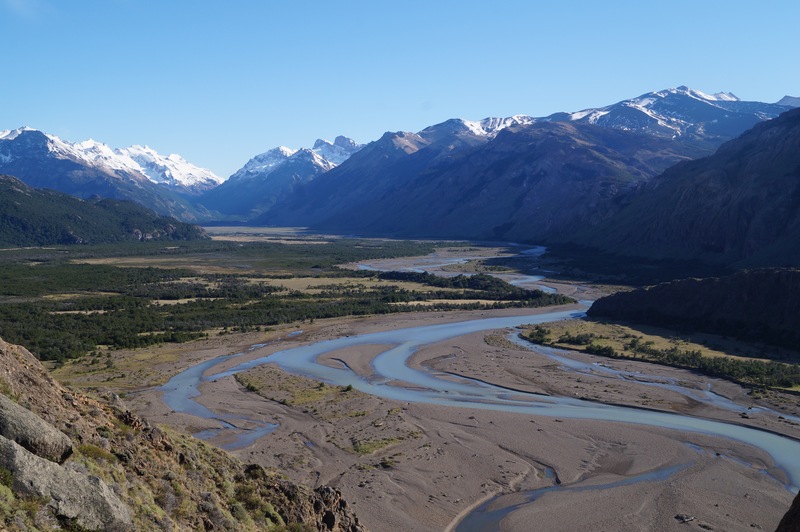 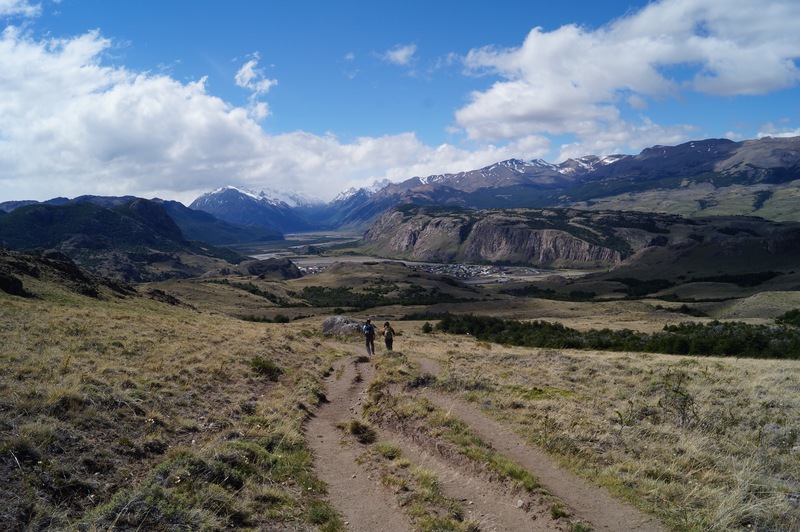 I originally wanted to do the 4 day Huemmul circuit, because I’ve read that it’s quite challenging, really beautiful and in contrast to the rest of Argentinian Patagonia, it’s supposed to be nice and quiet sand free of crowds. 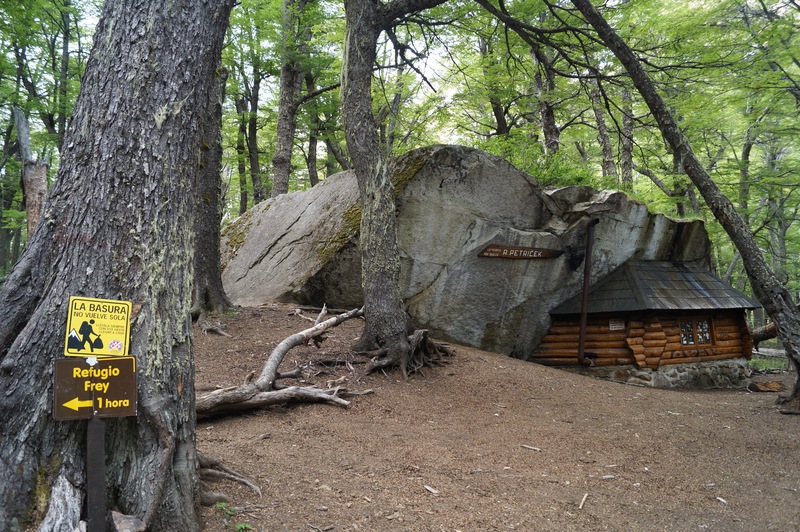 Once I got there I asked around in the hostel if anyone wanted to do it and tried to find out more recent information about it, but unfortunately no one was interested, and apparently the park rangers do not allow anyone to do it alone. 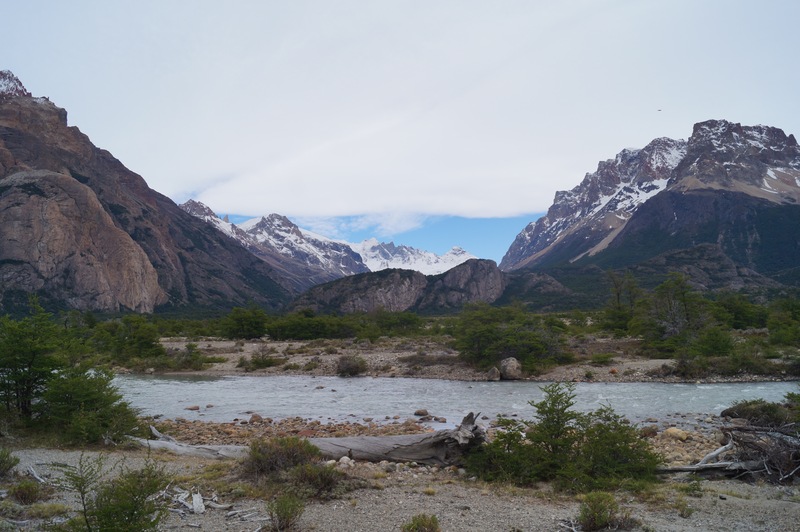 This was I think the only time, I felt restricted by travelling alone. 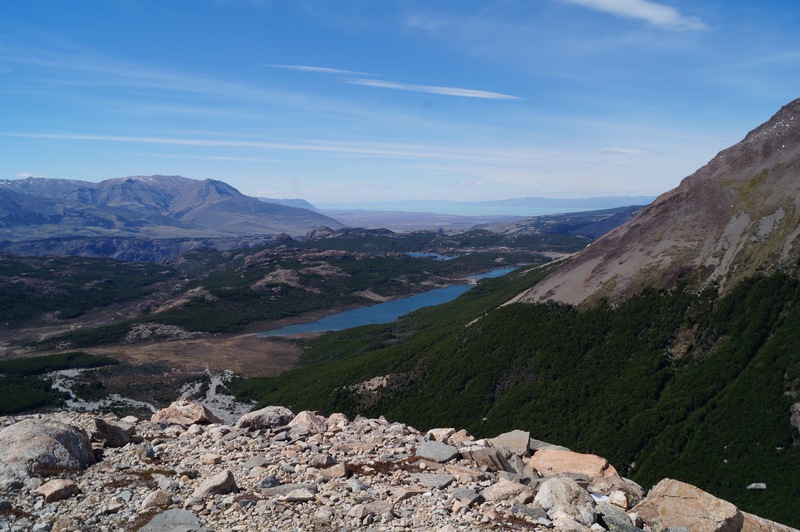 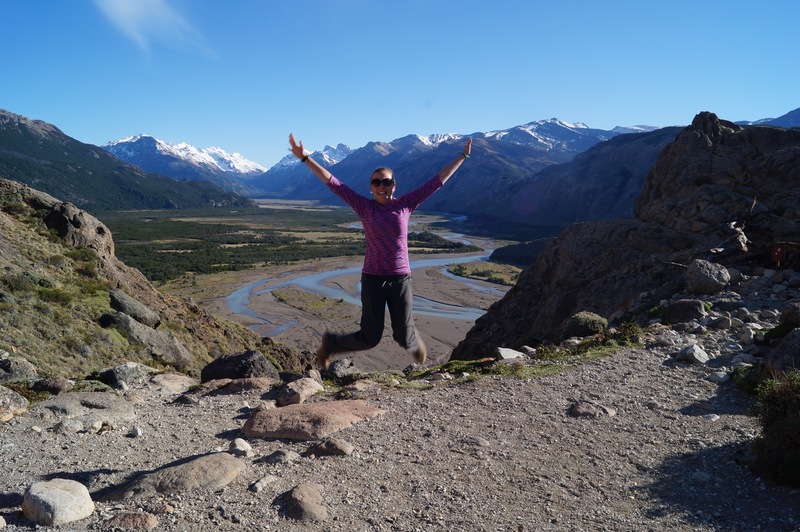 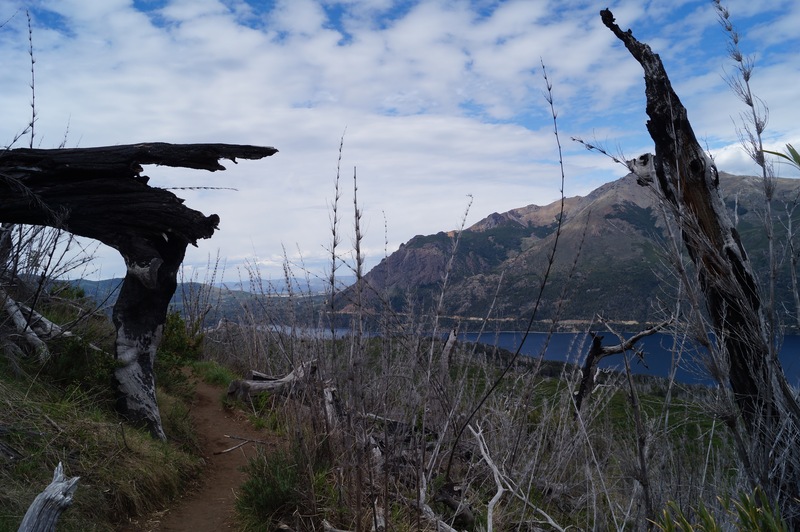 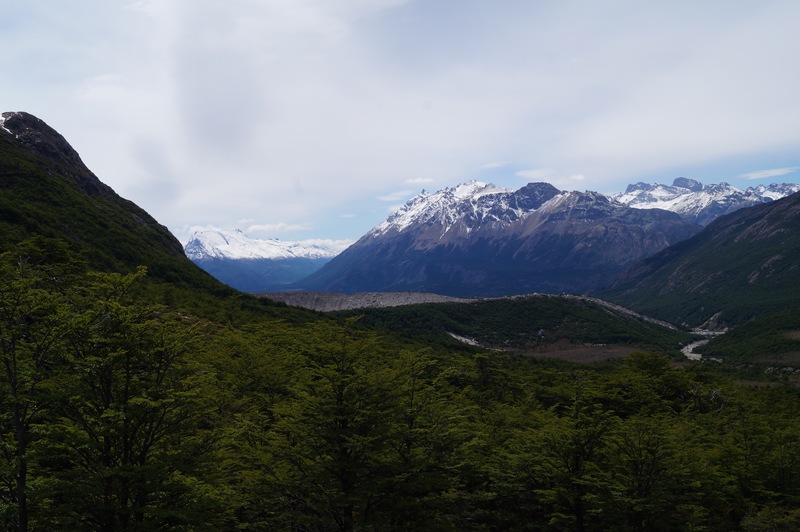 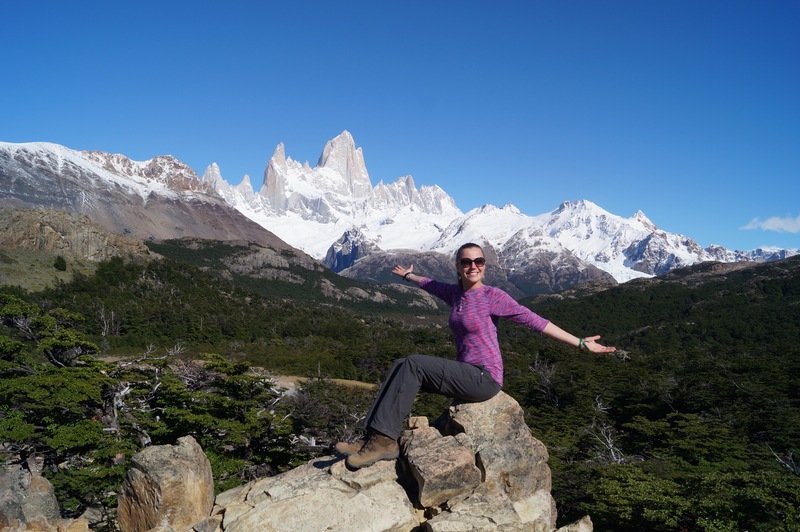 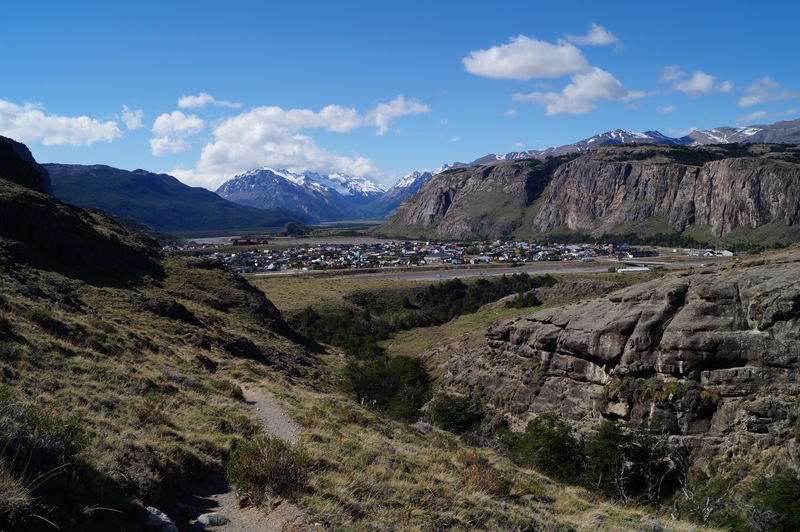 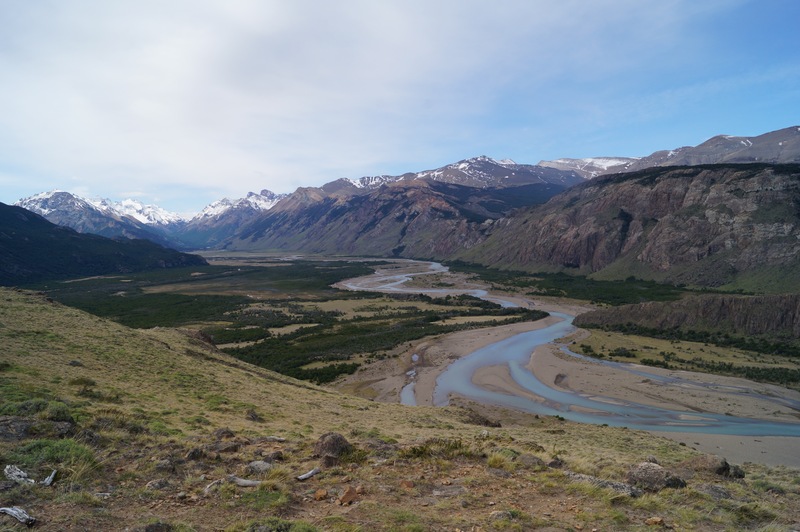 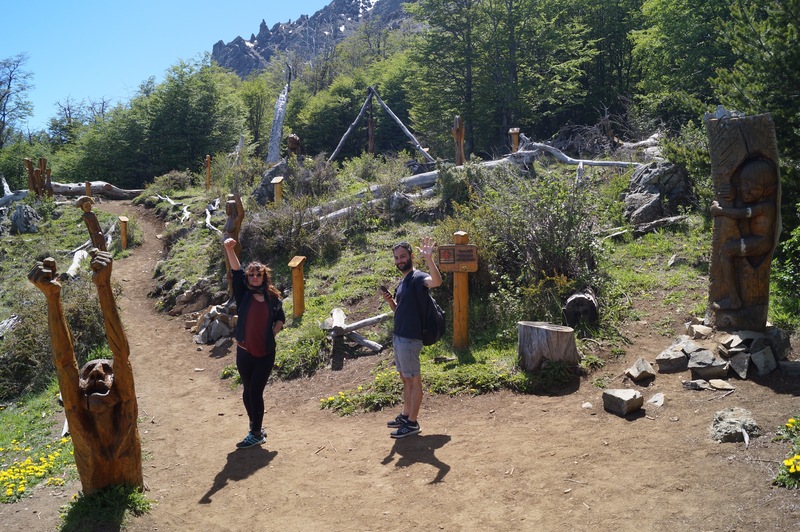 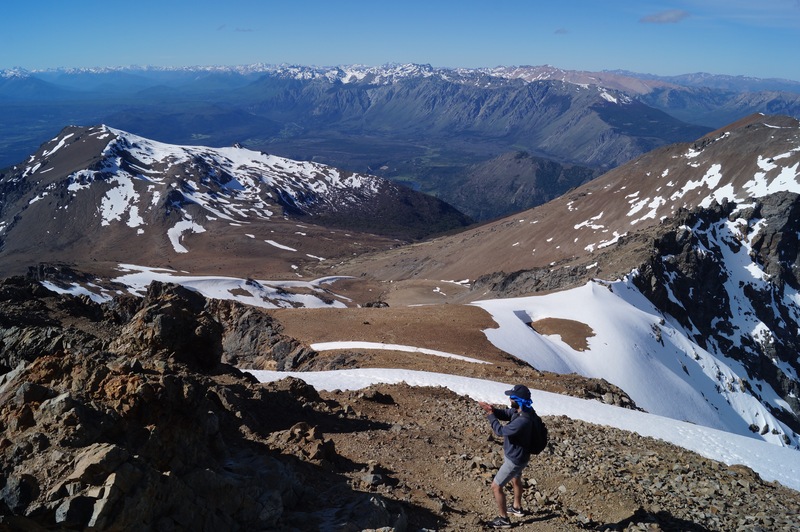 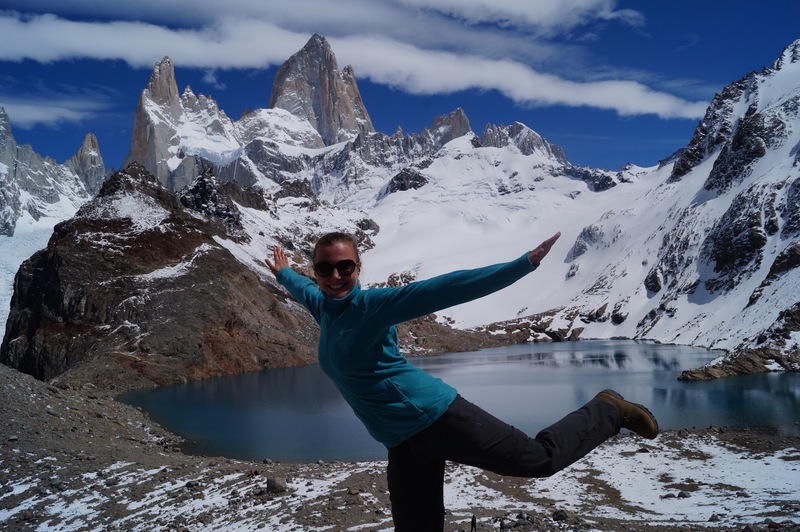 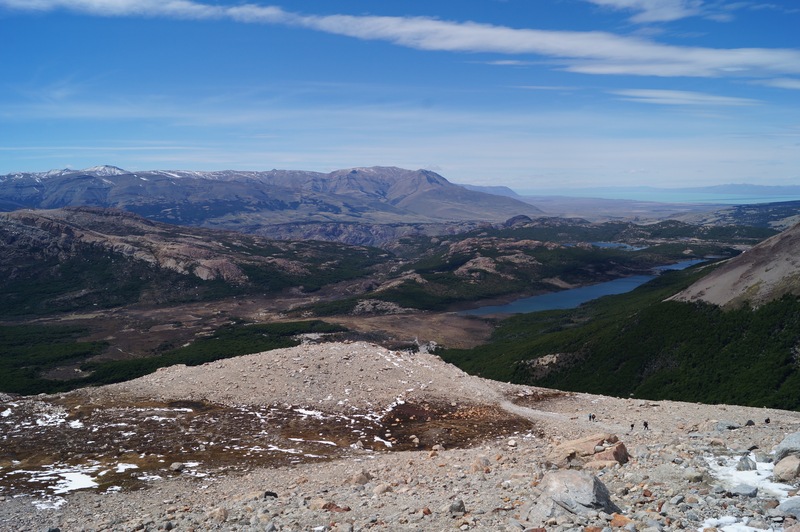 I was expecting that everyone in El Chalten would be as enthusiastic about hiking as I was, but it turned out that it’s just a tourist spot for those that can afford it. 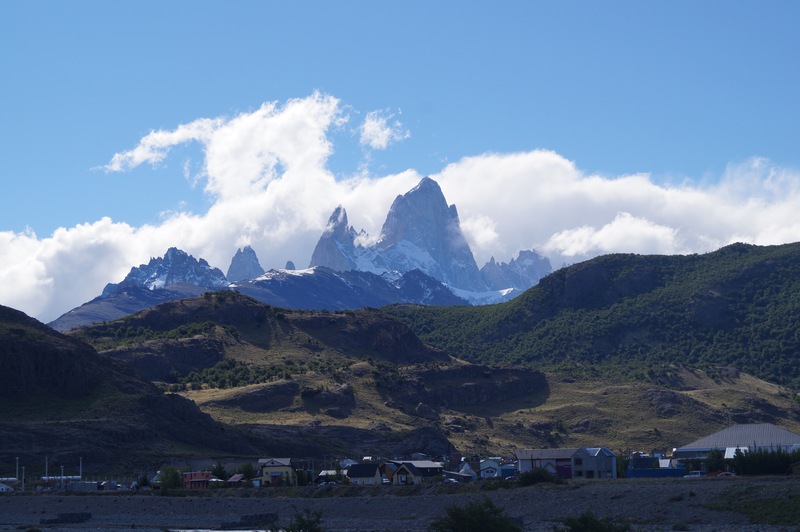 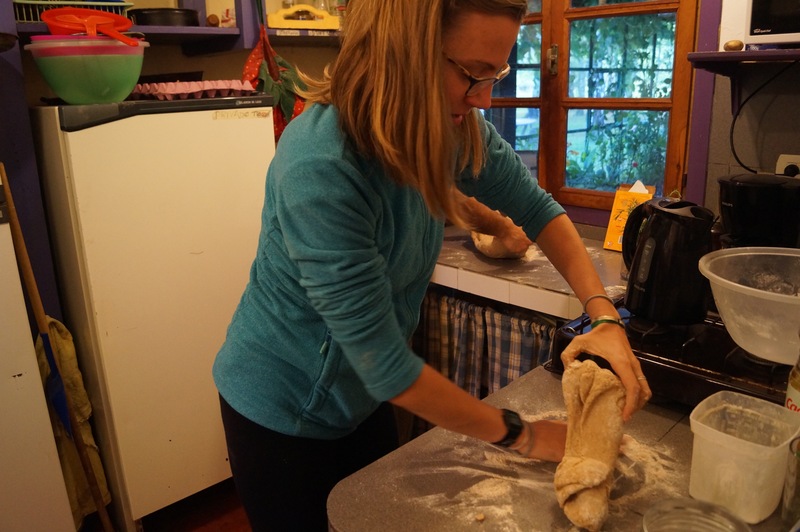 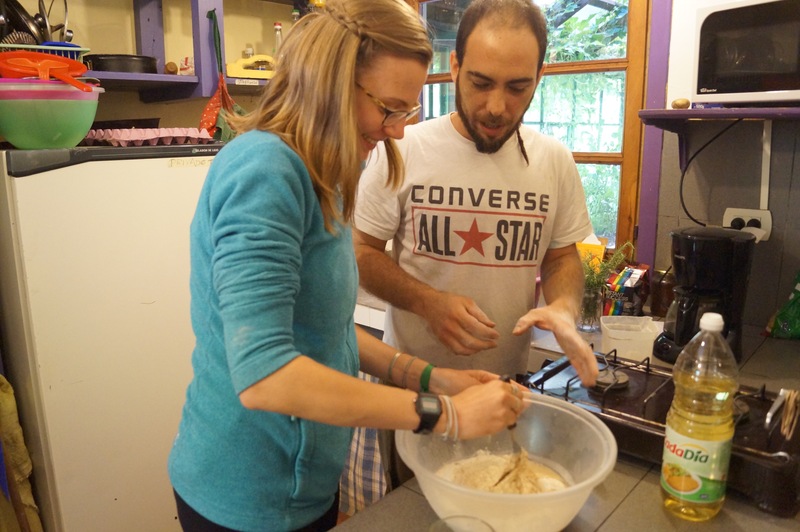 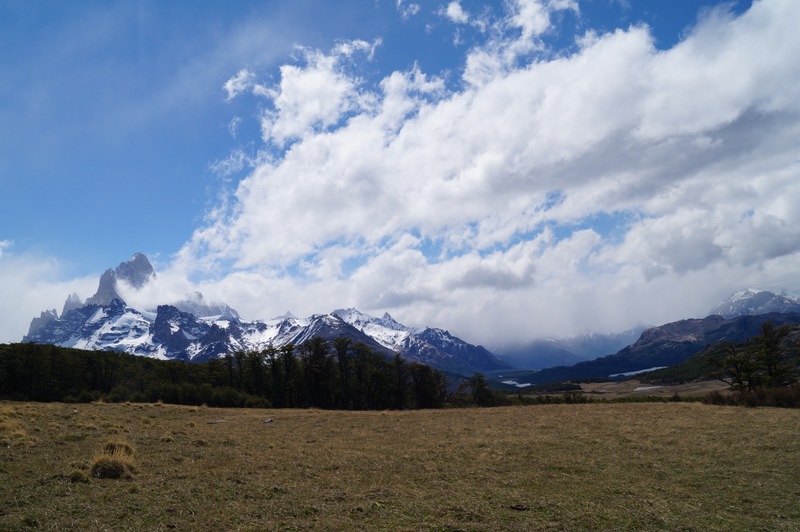 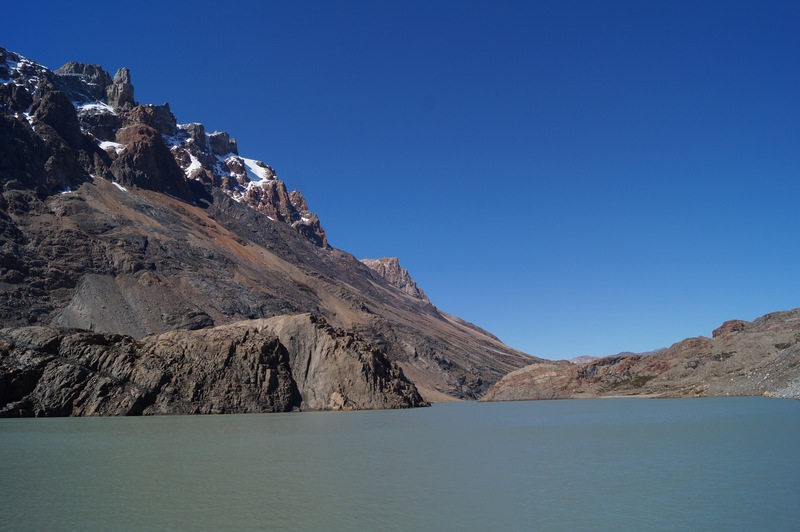 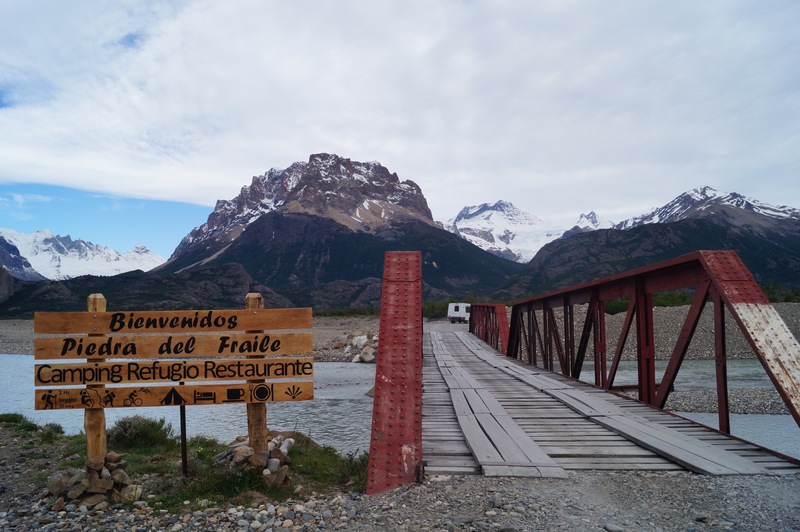 It was interesting to see how the ‘vibe’ changed as soon as I entered Patagonia; further north was full of like minded backpackers, doing the same as I was, but here there were many wealthy, older people, a lot of couples who are on a typical vacation. 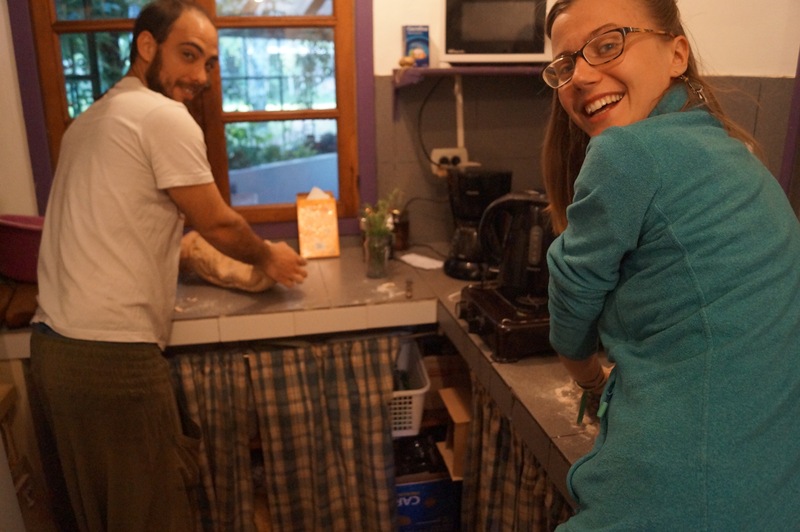 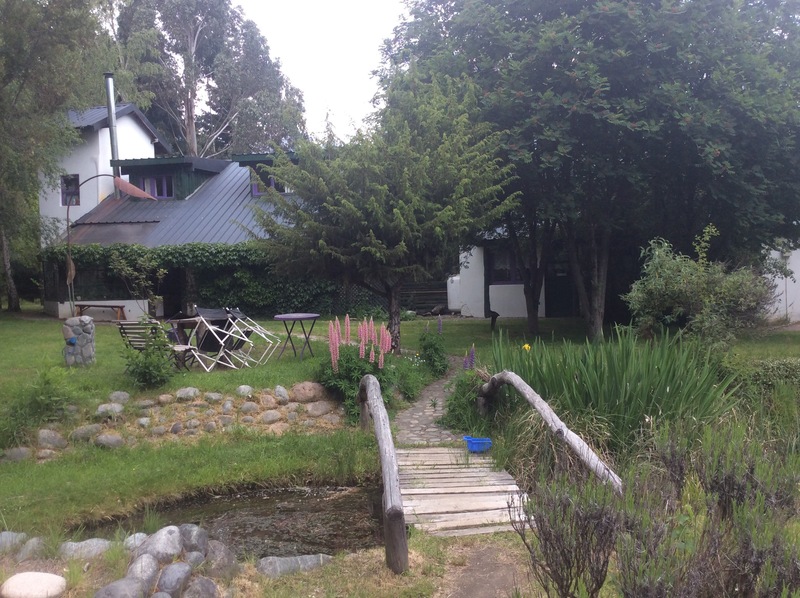 Luckily for me, I stayed in a really nice hostel with plenty of cool backpackers. 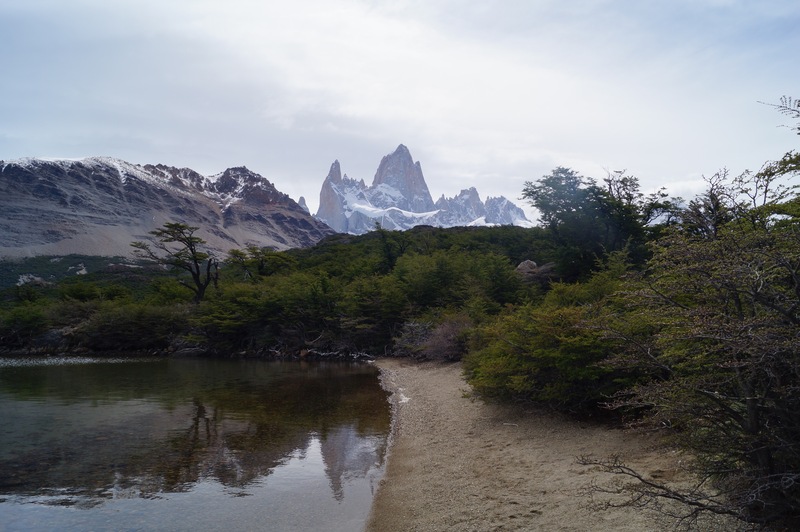 The after hiking Fitz Roy was cloudy and my knees hurt, so I took a ‘Rest Day’ to recover before attempting anymore hikes. 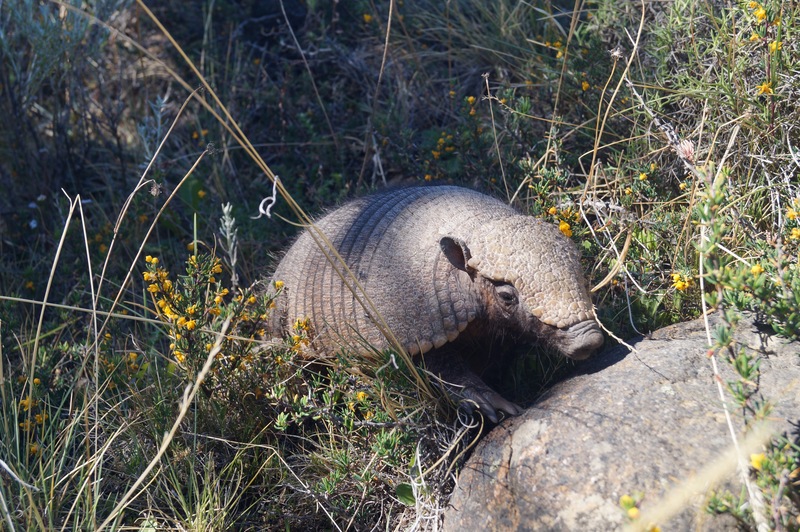 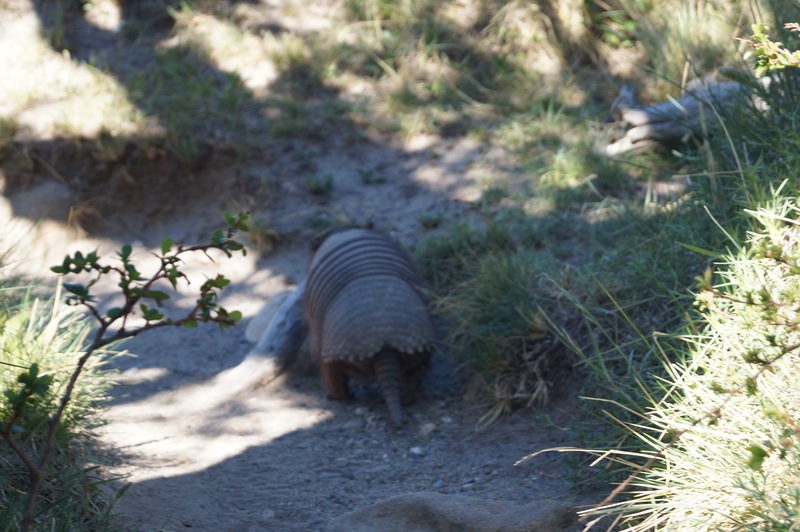 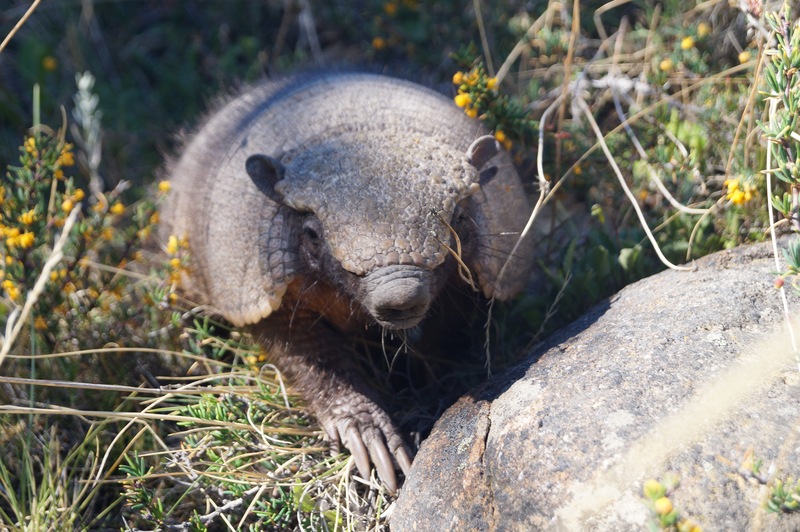 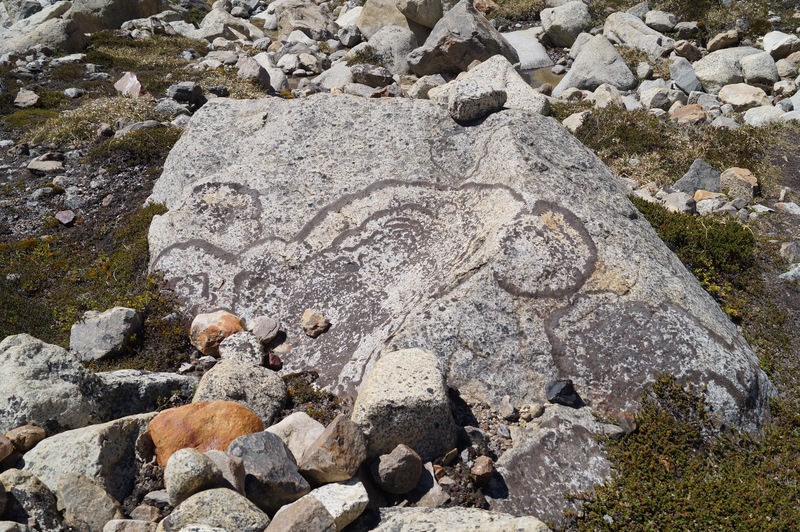 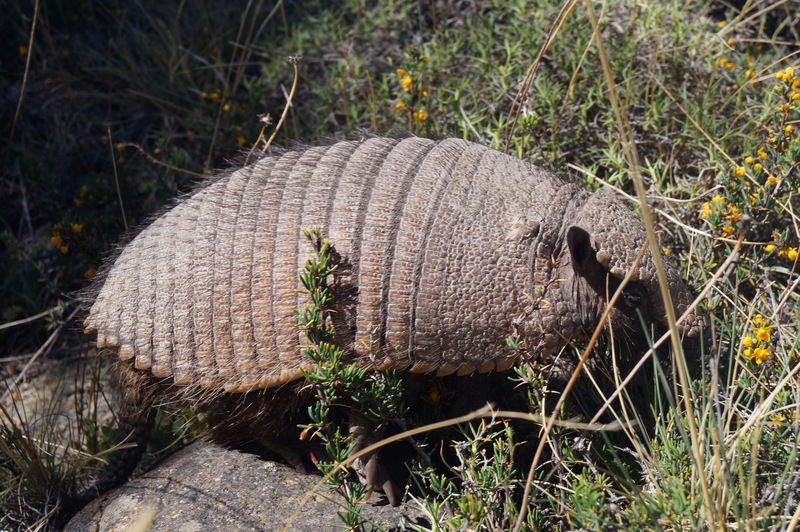 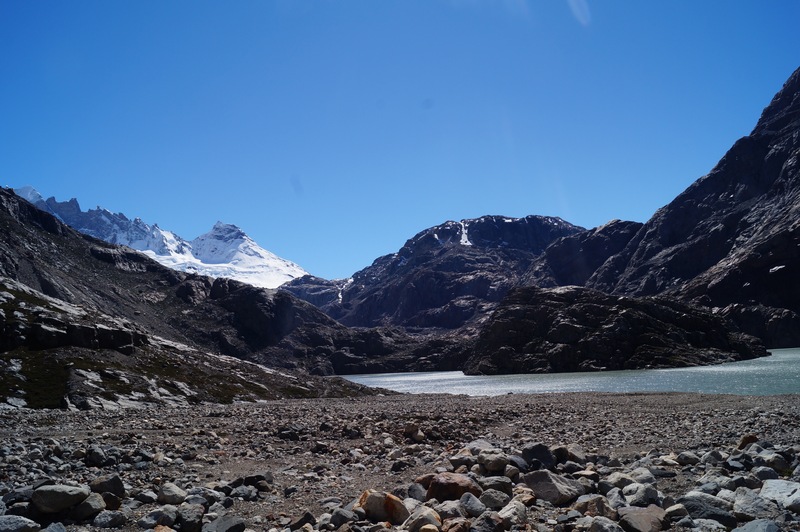 The following day was a a little better so I did a hike called loma del pliegue tumbago. 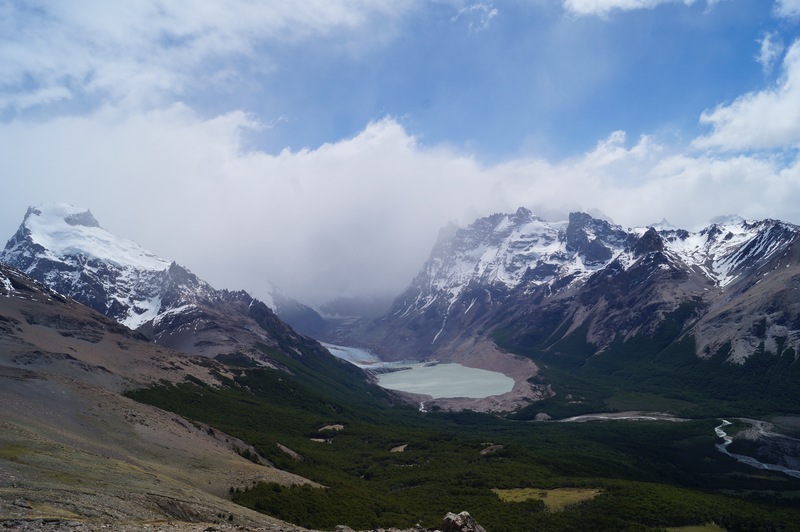 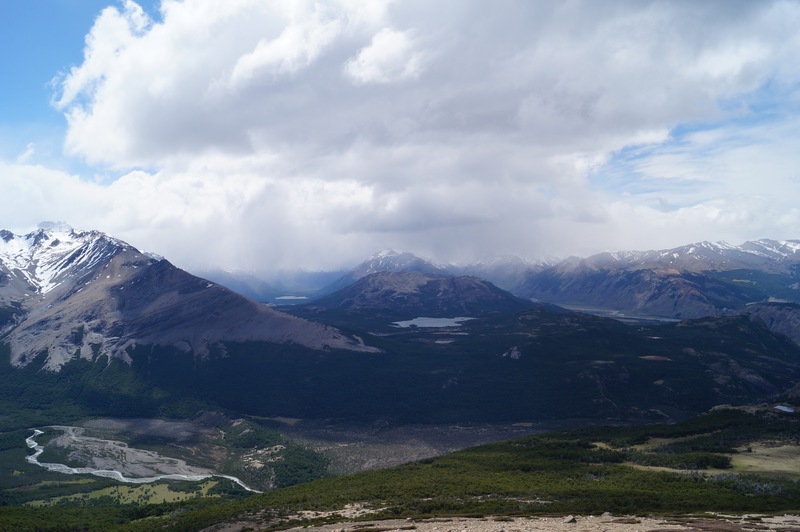 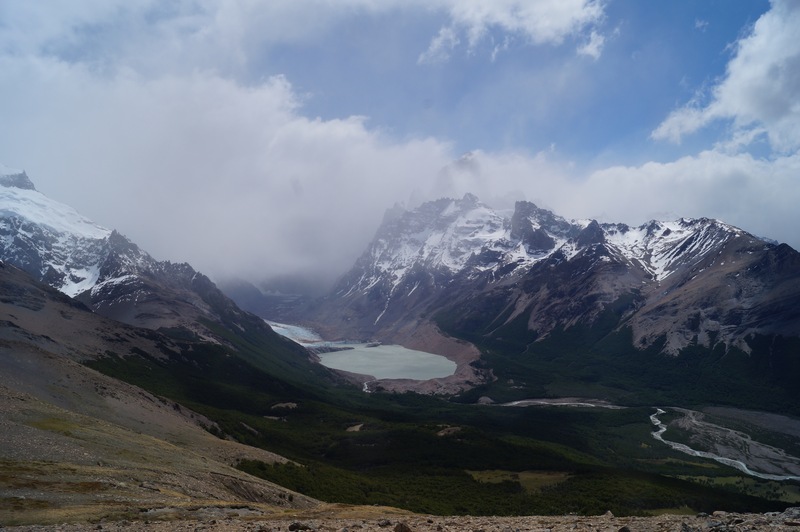 It was still a bit cloudy and very windy when we got to the top, but we got a lovely view of a glacier and a Laguna, but really could not stay there for long due to the icy winds. 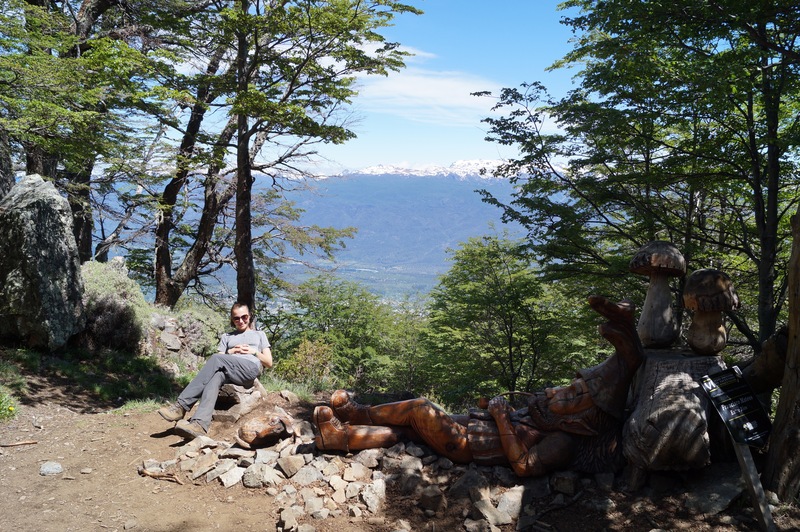 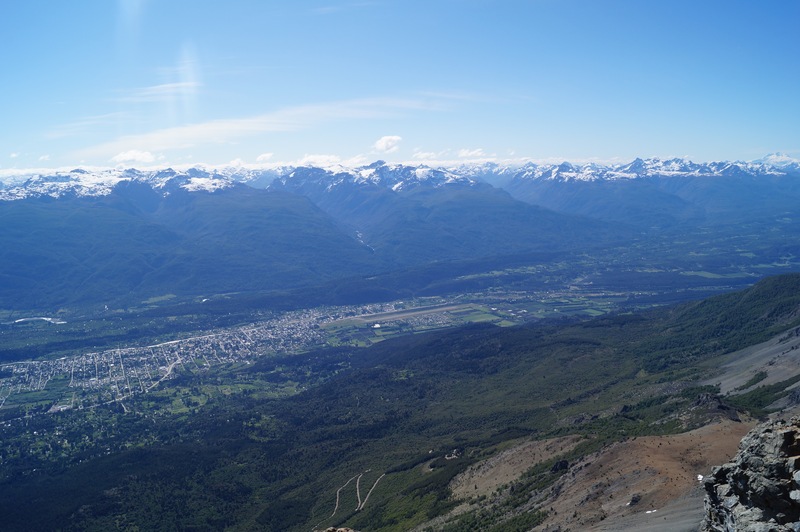 It have been hopping around a lot recently, staying in places for a really short amount and of time an taking a lot of long buses, just to carve out a lot of time to spend here as I heard it’s the hiking capital of Argentina. 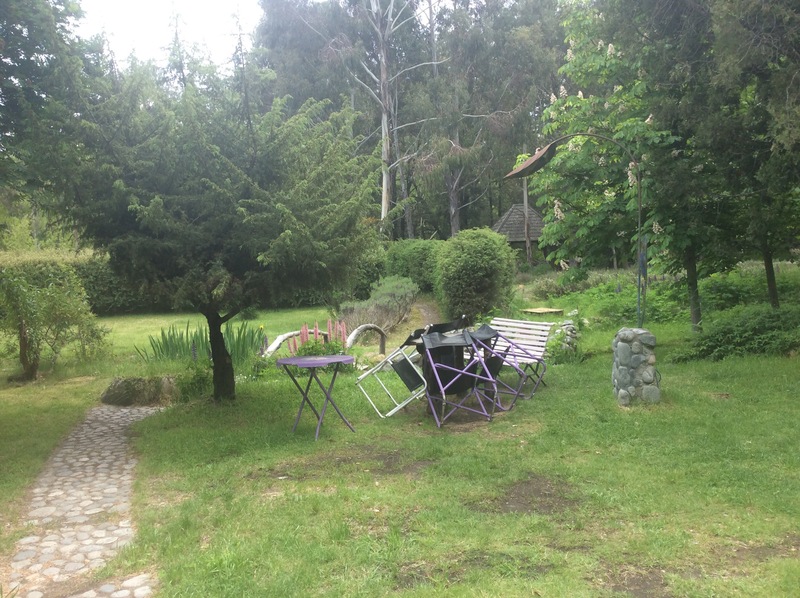 In total, I stayed here for 9 nights! 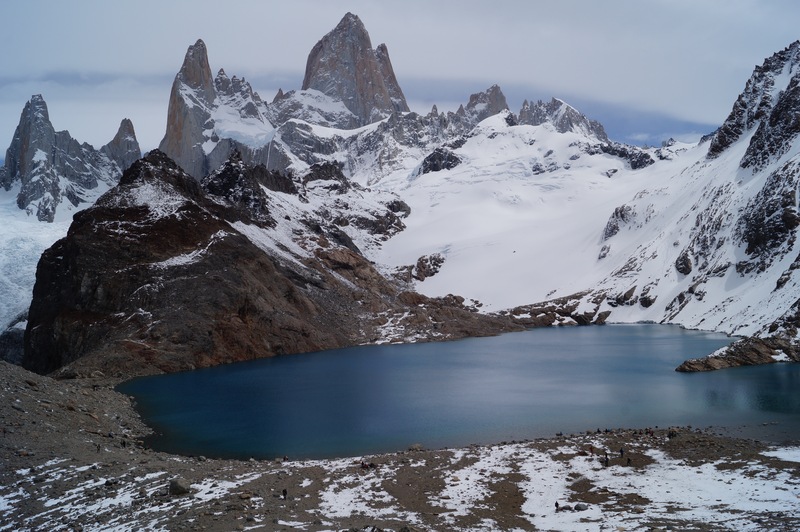 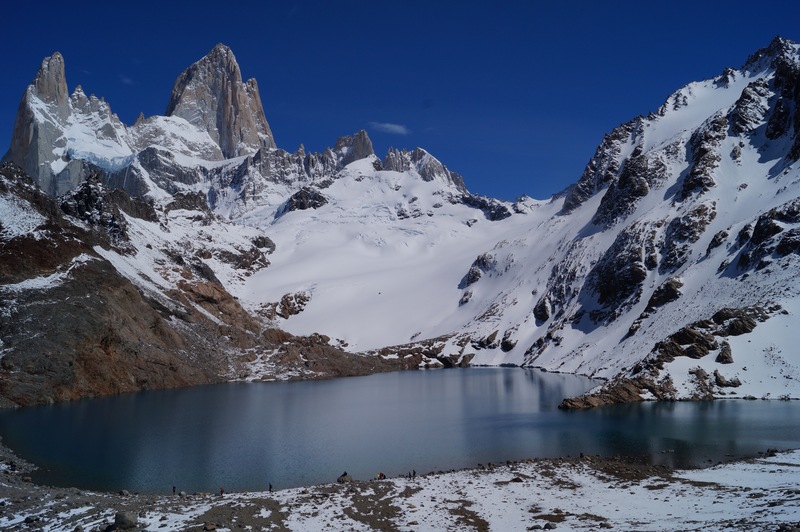 As I arrived in the evening, I was told that the weather the next day is promised to be very good so I decided to do the Fitz Roy day hike. 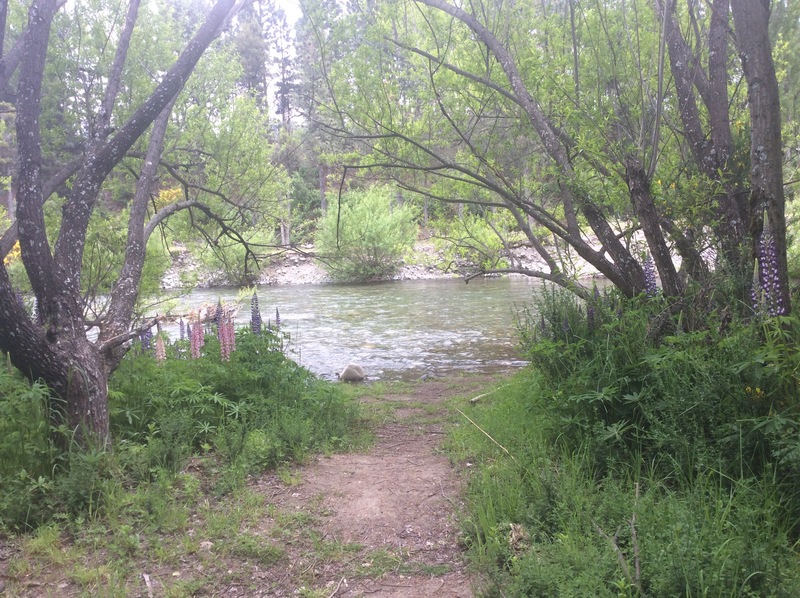 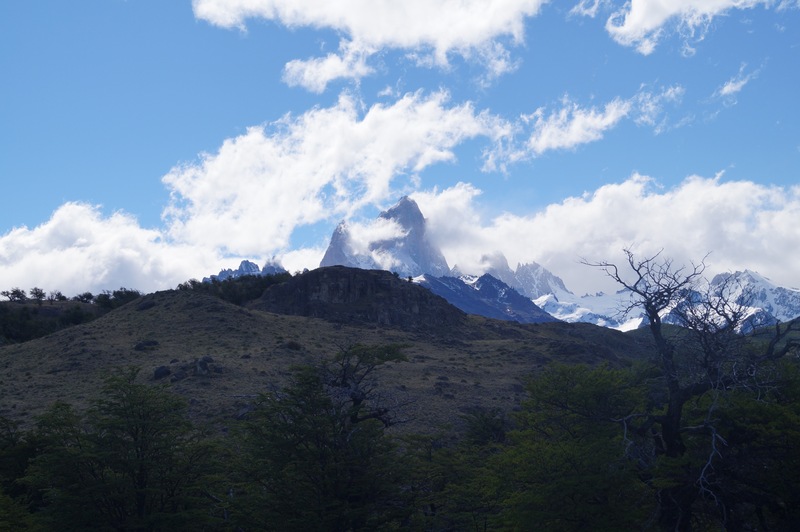 It was a beautiful hike but quite crowded because a lot of other people had the same idea. 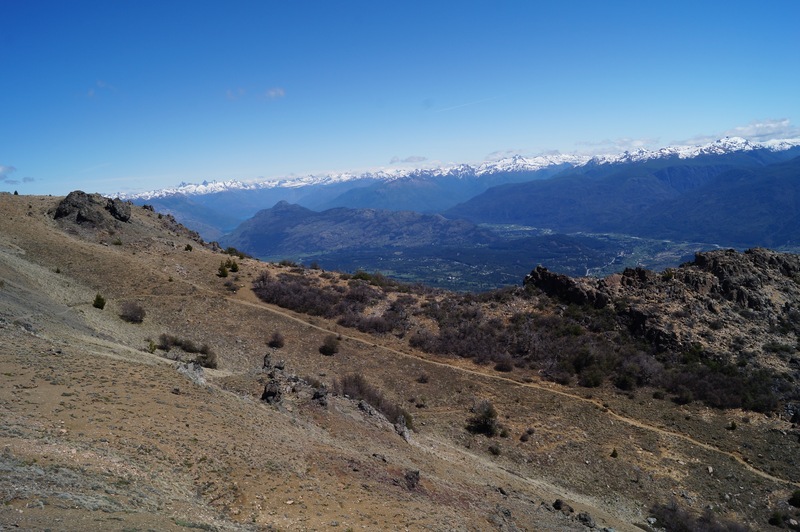 It was flat for the first 9 km, but the last km was quite steep. 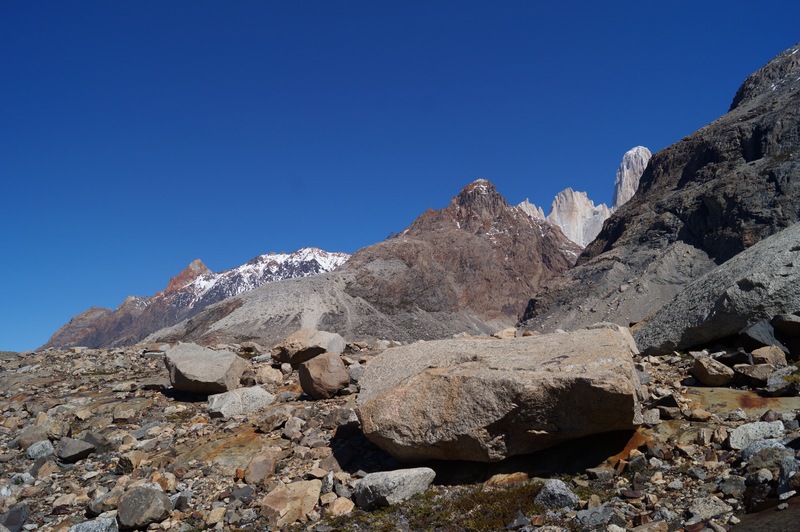 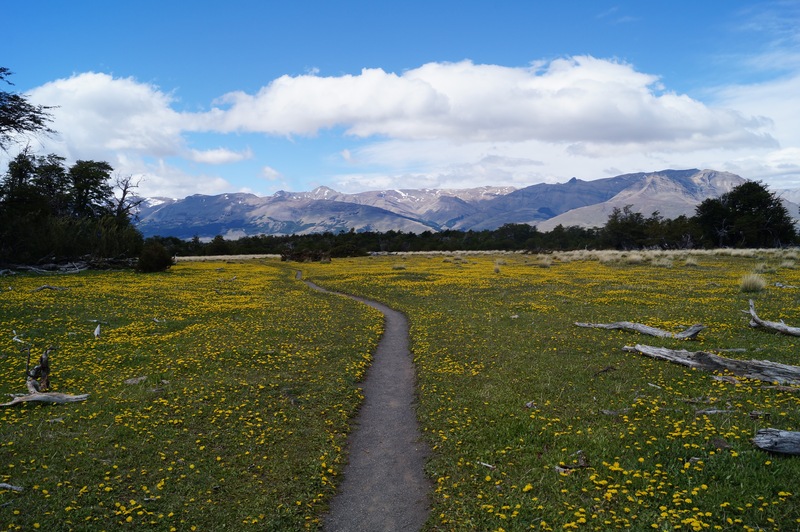 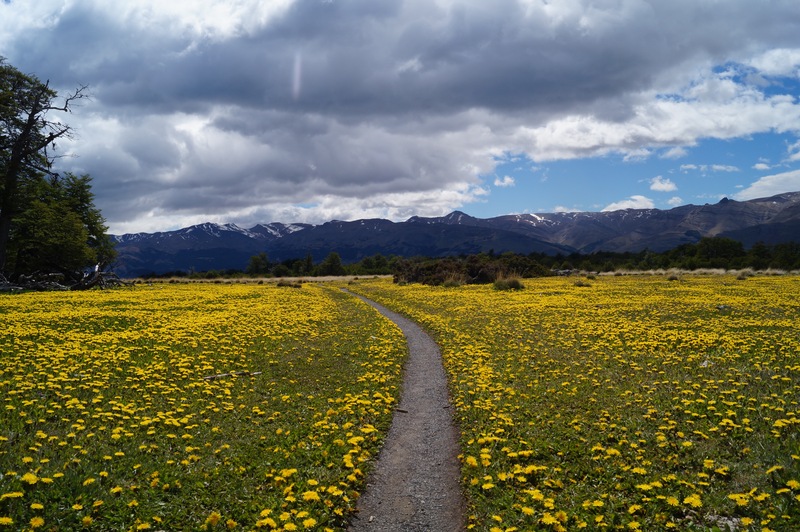 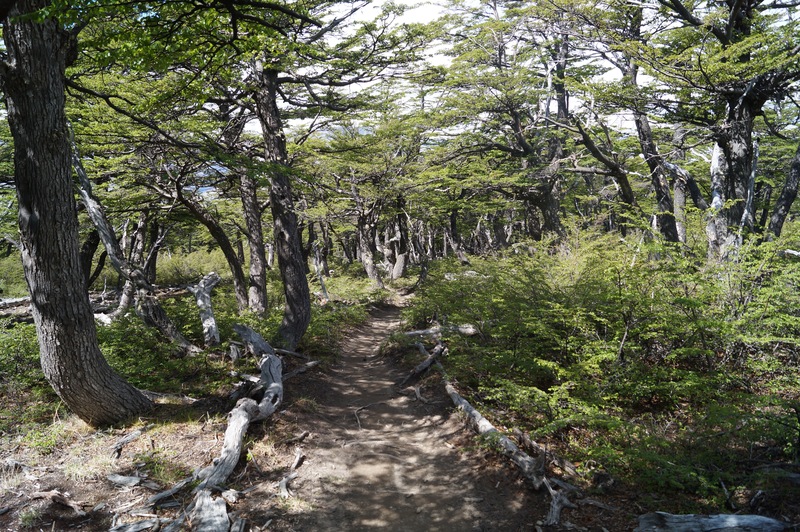 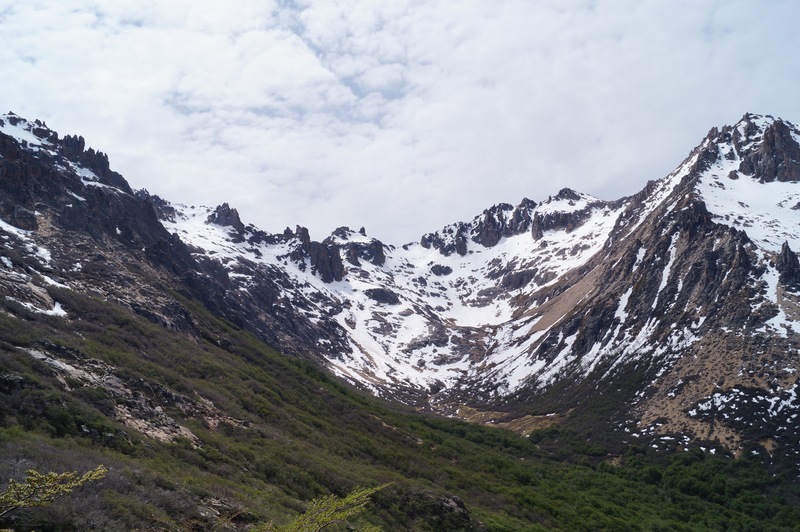 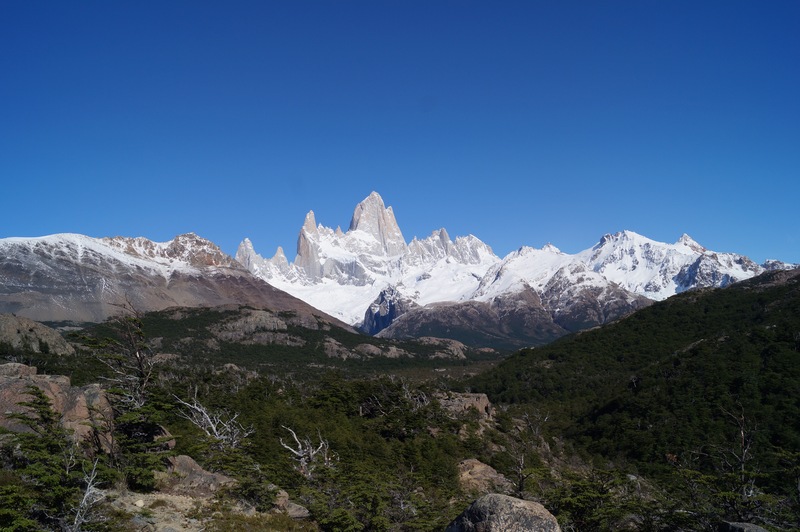 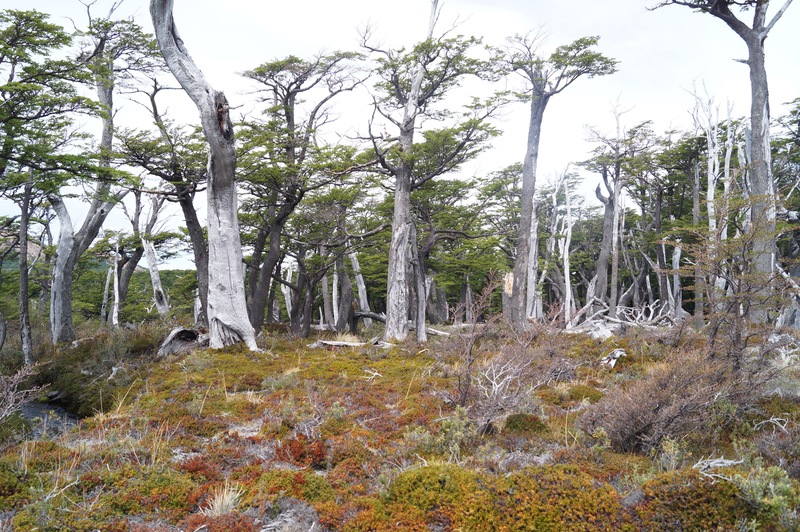 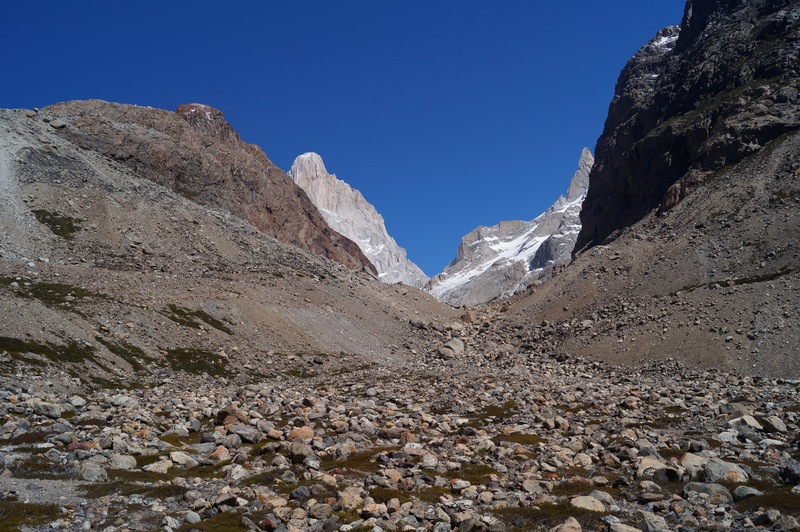 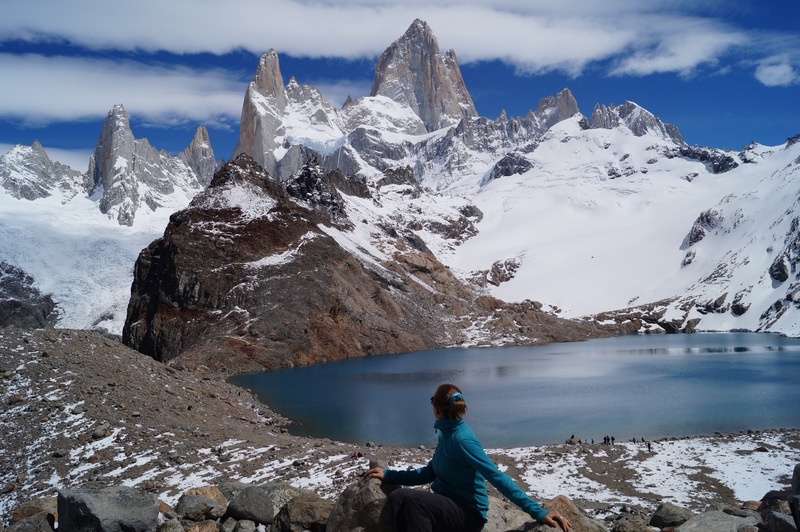 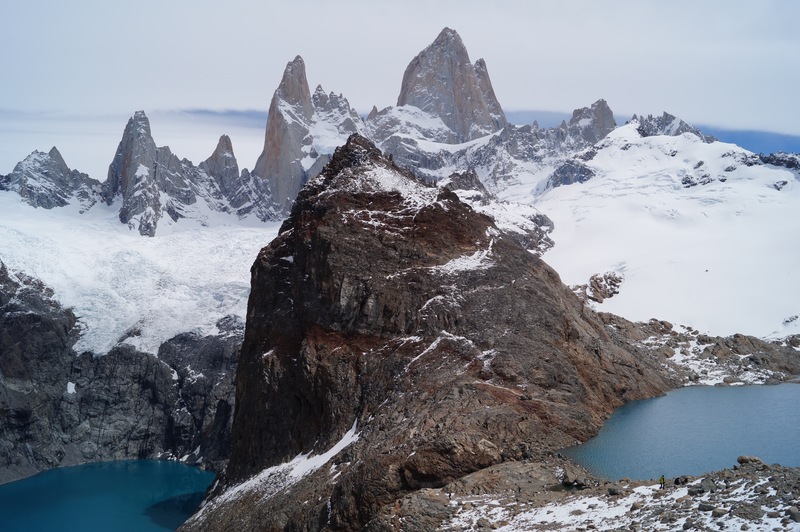 This was a really nice hike throughout though; we walked through valleys and forests to get to the gorgeous view of the fitz roy nad other mountains as well as a couple of lagoons. 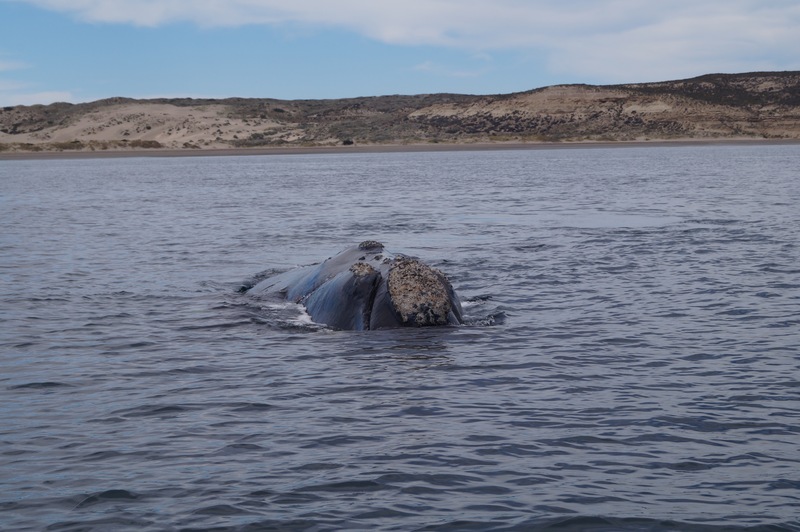 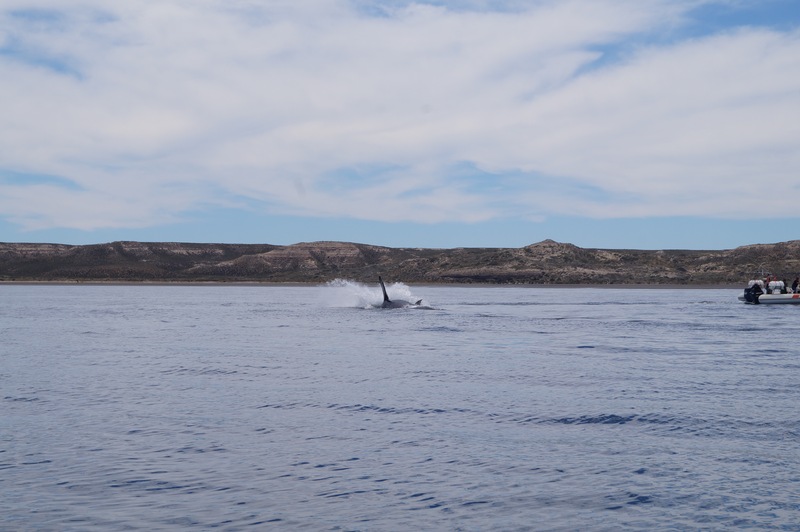 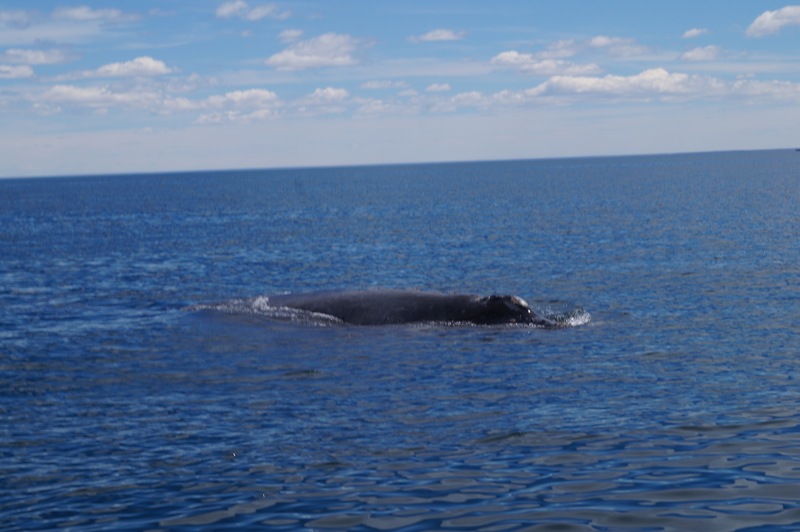 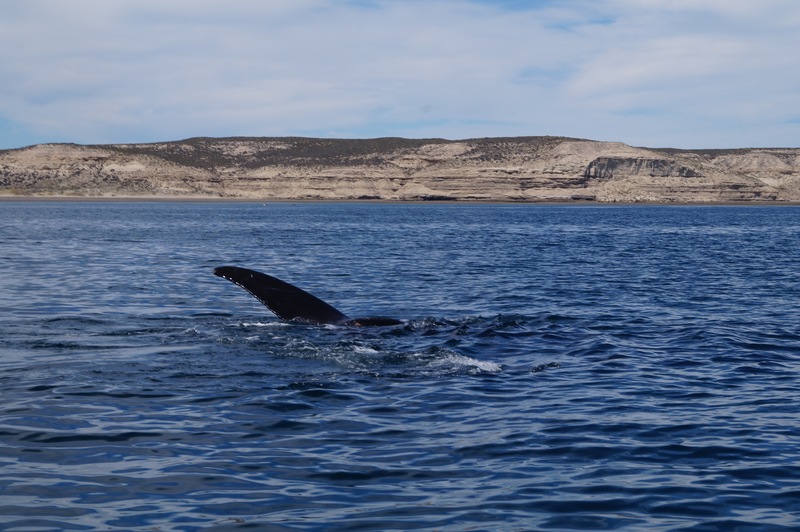 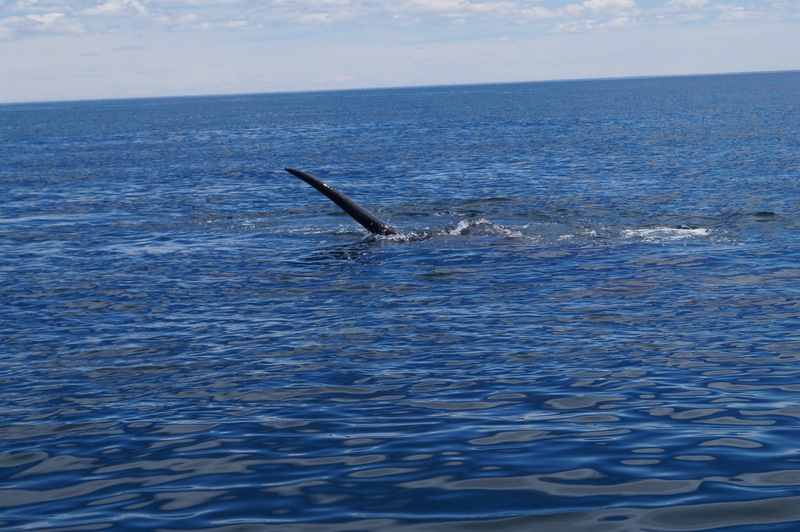 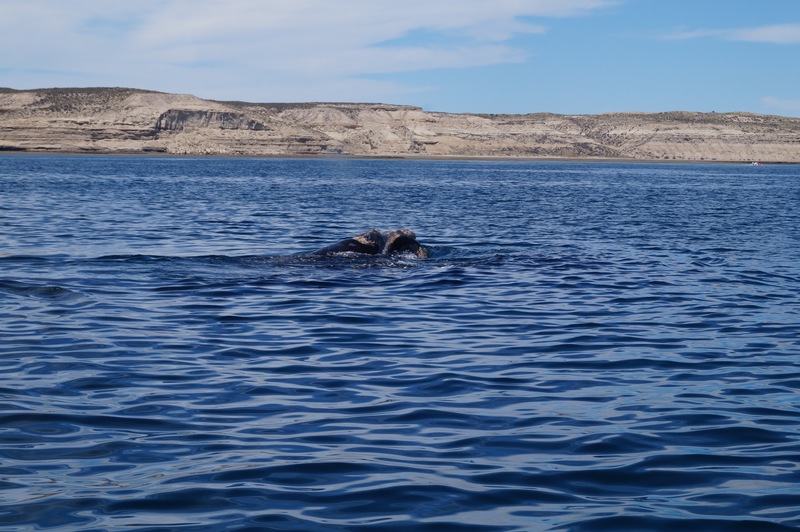 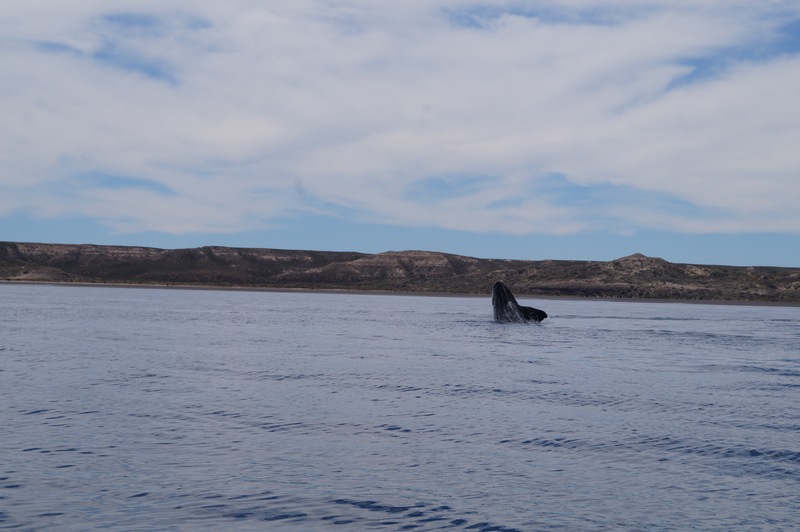 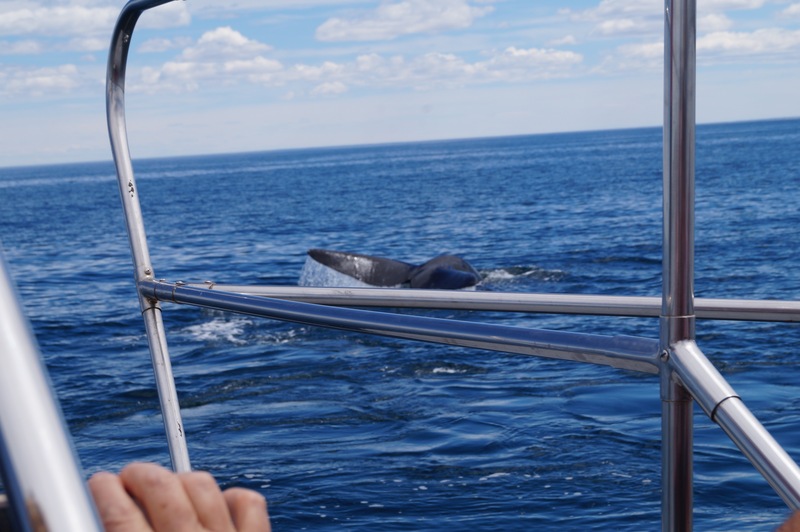 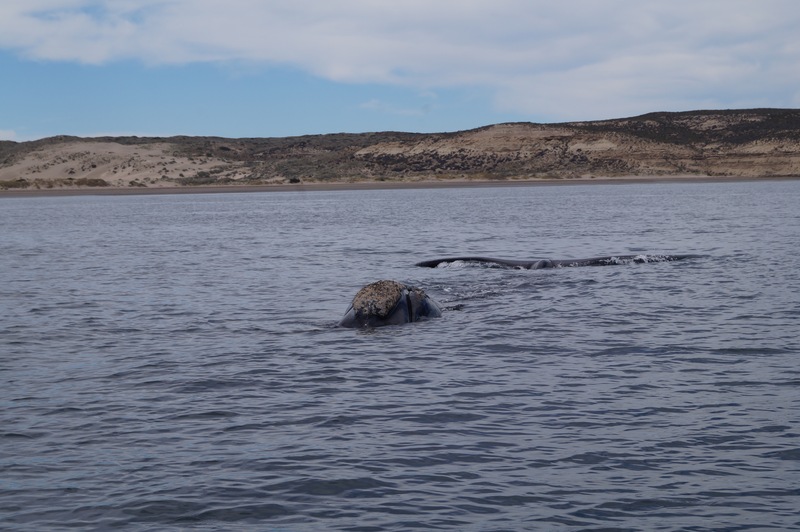 From el bolsón, I went directly to Puerto madryn, pretty much just to see the whales! 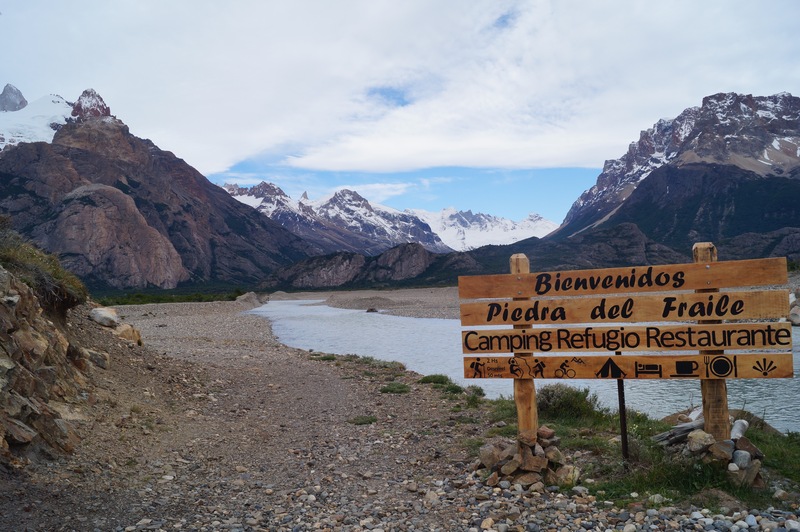 I only spend one night here, I was debating whether to come or not, so when I did, I knew i didn’t have too much to spare, because i wanted to to a lot of hiking further south. 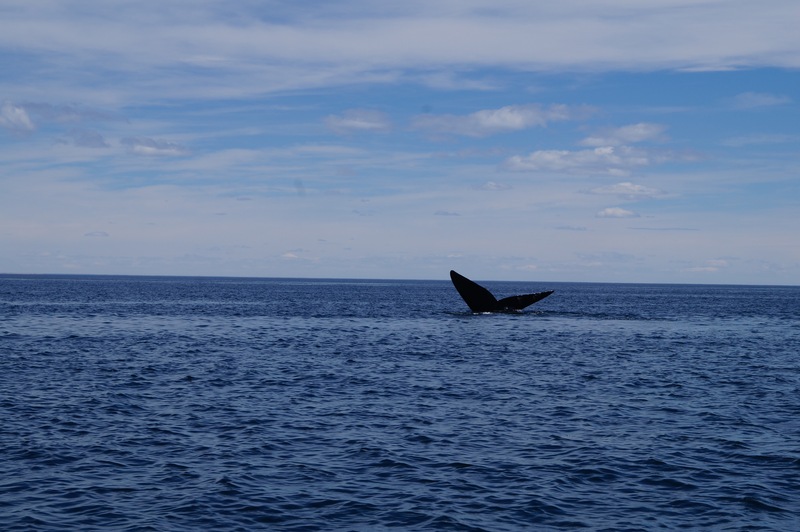 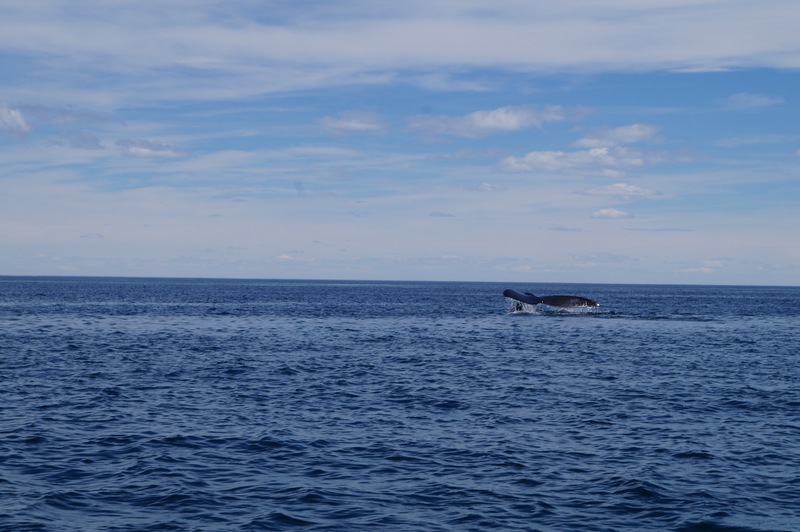 It was amazing to see the whales. 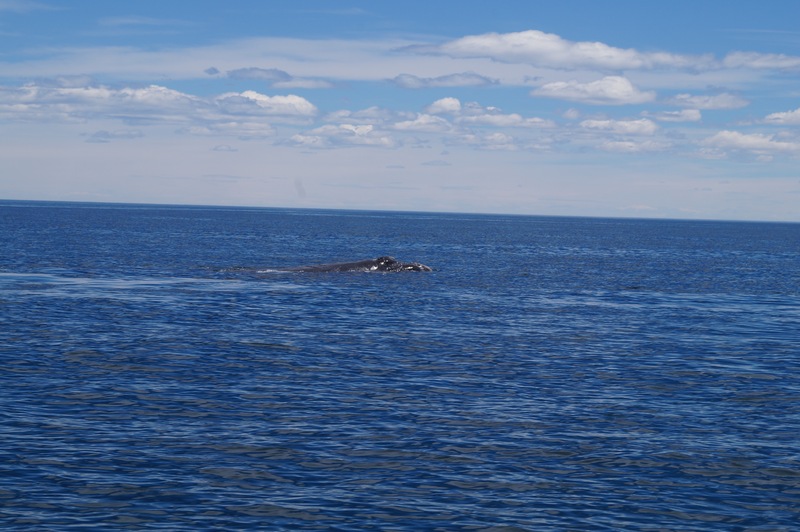 To see their true size, I was lucky to see some interesting behaviours and to see a mother and a calf. 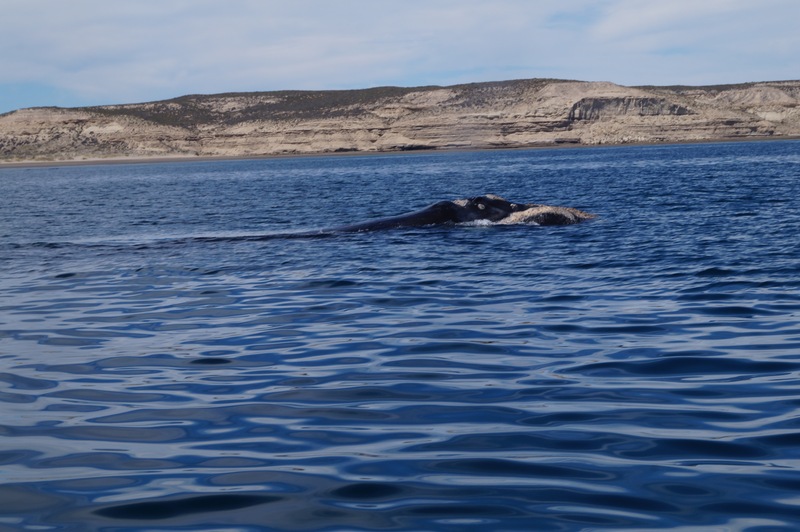 I was lucky to see them at all, because as a result of the El Niño phenomenon, the whales came and went a month early. 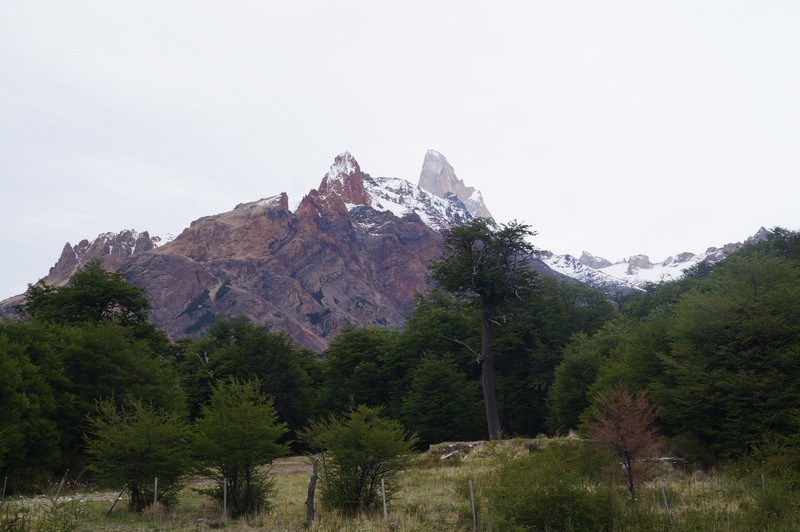 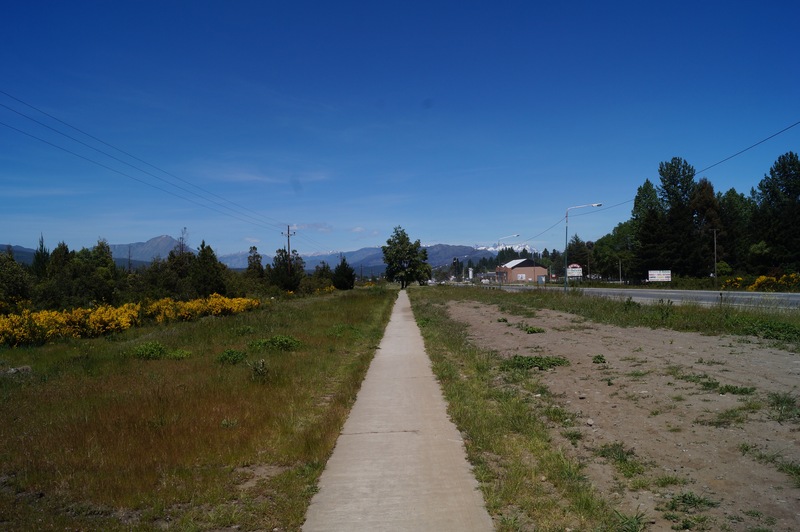 From Buenos Aires I took a dreaded and long 23h bus to Bariloche… it was a long way, but it was worth it. 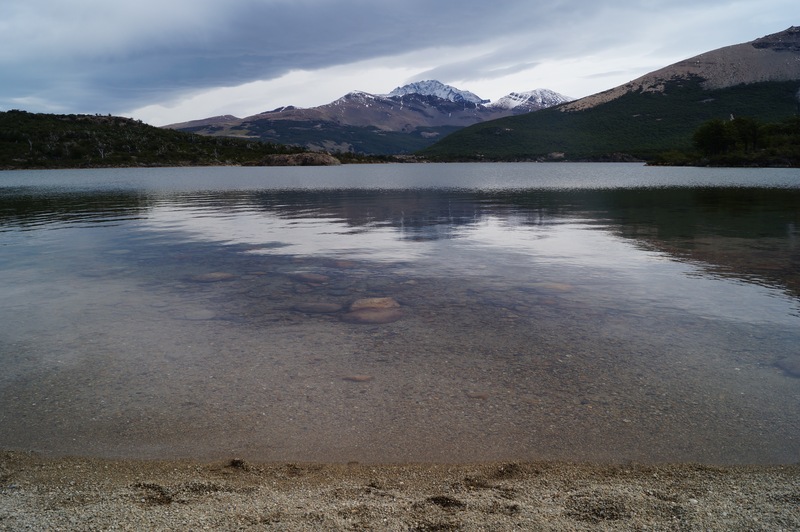 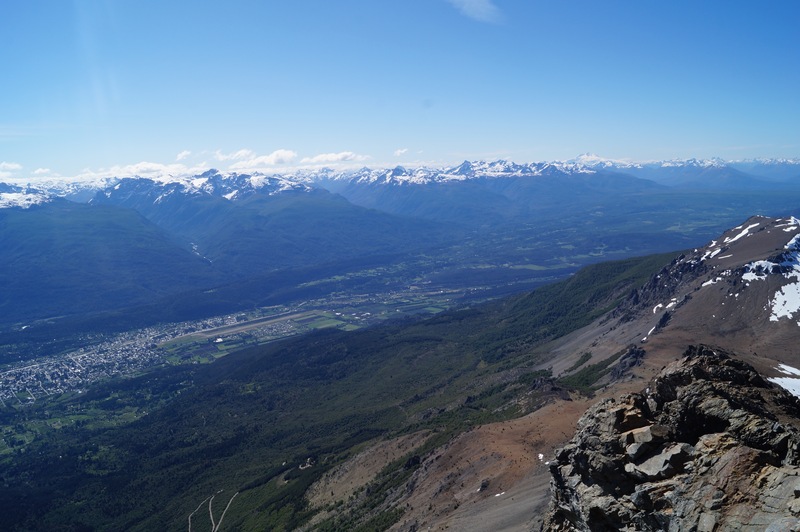 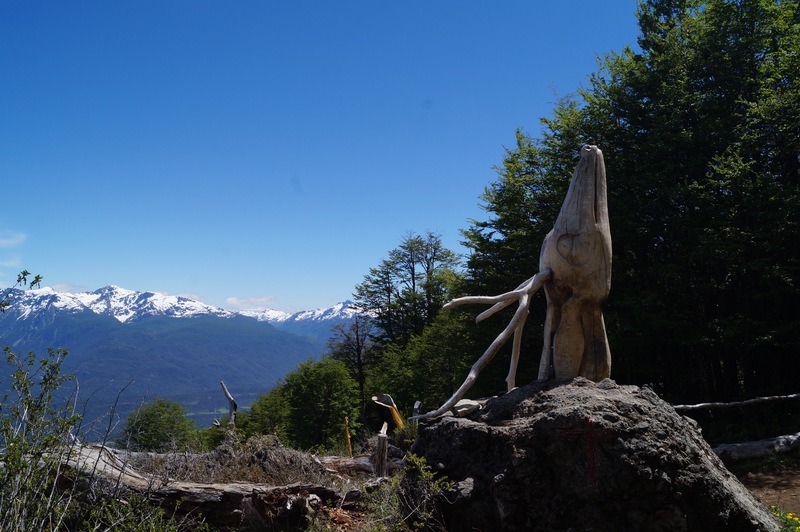 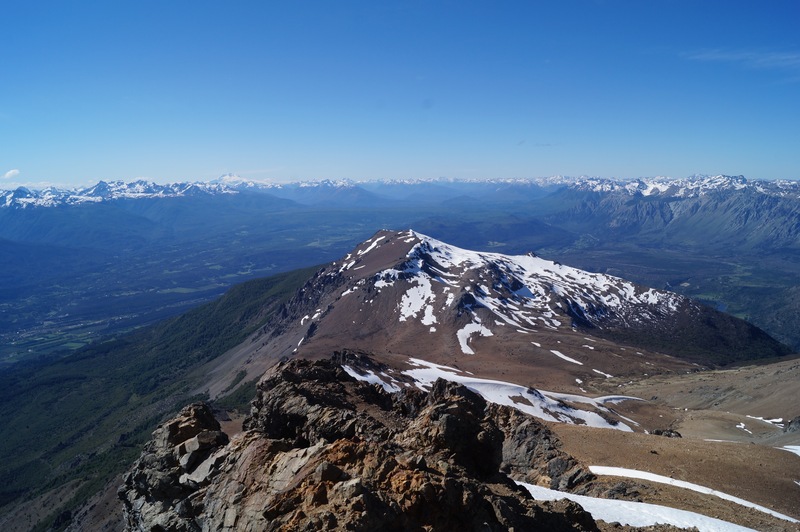 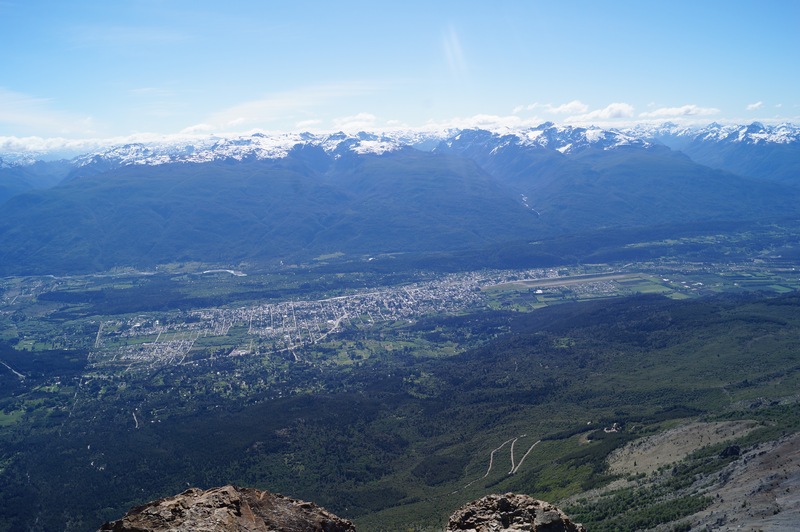 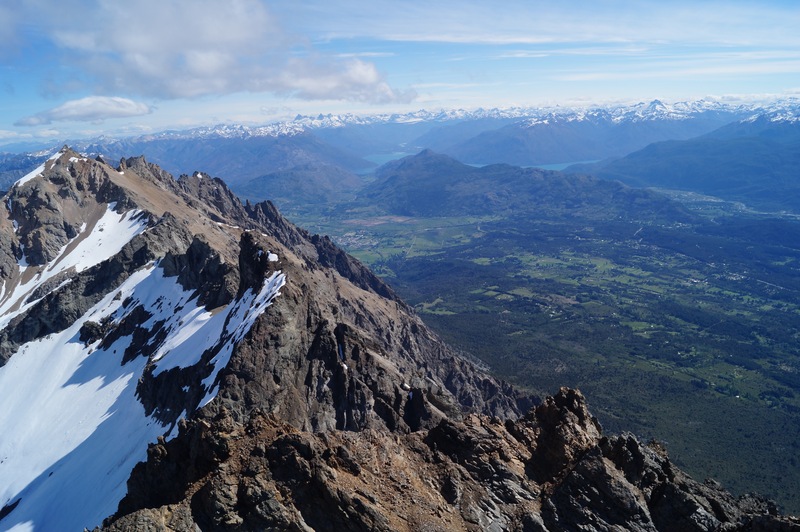 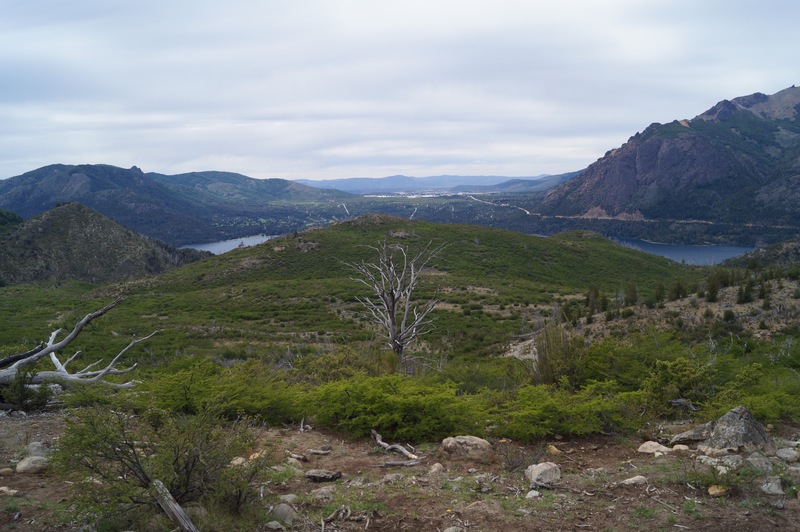 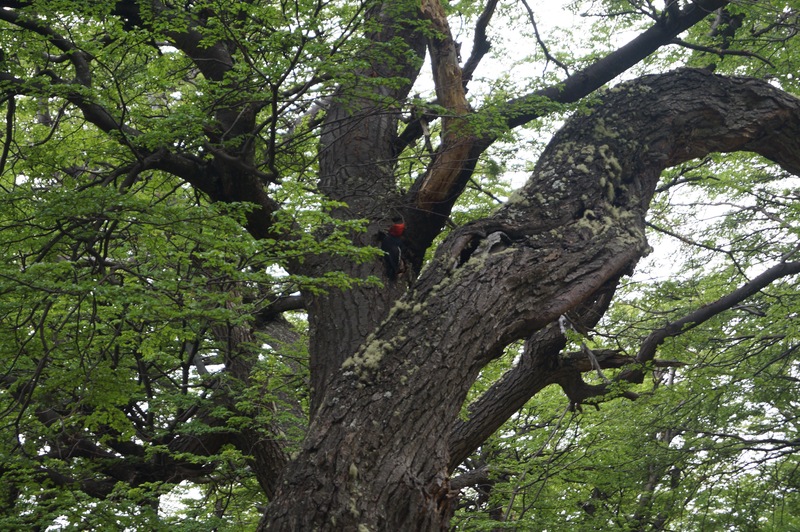 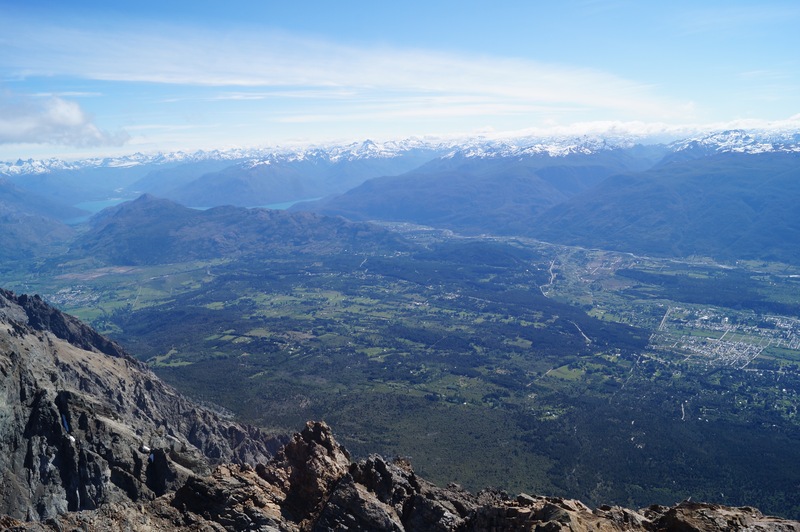 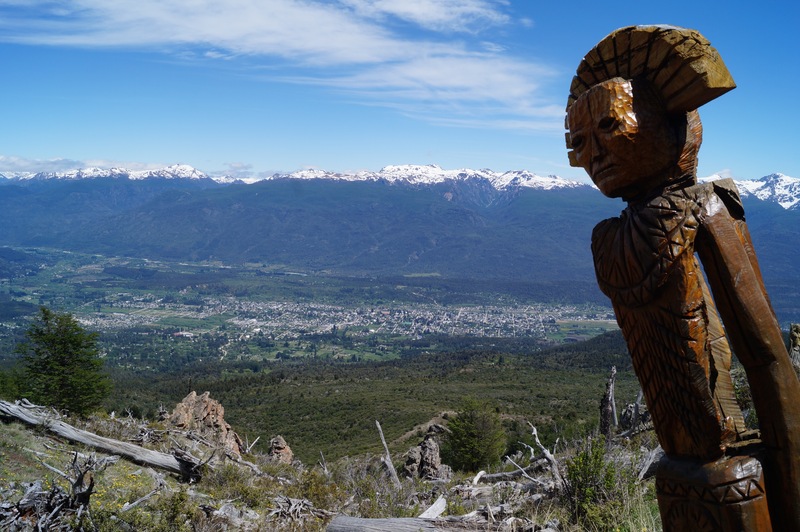 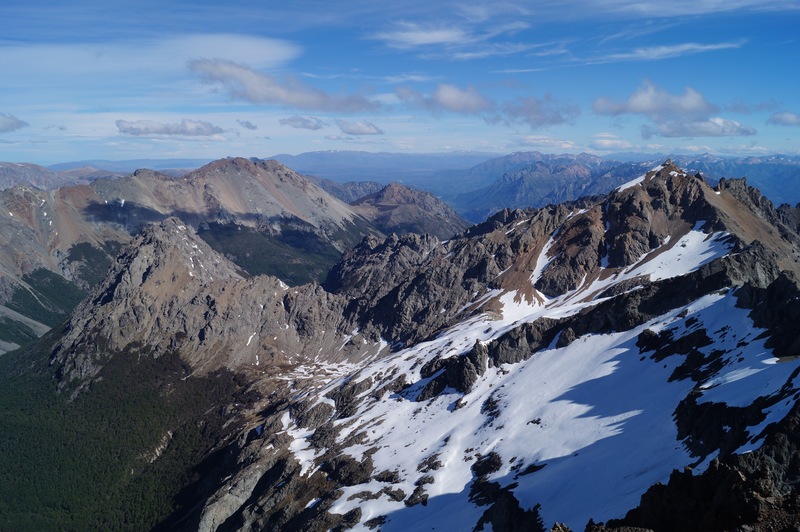 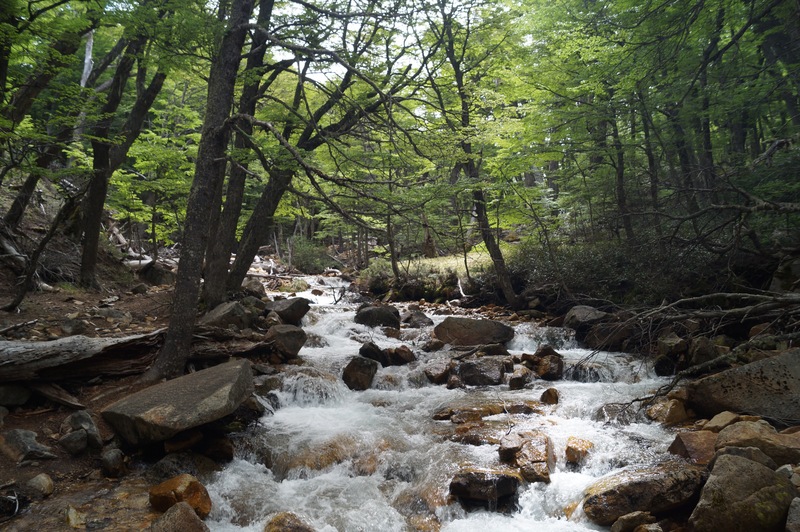 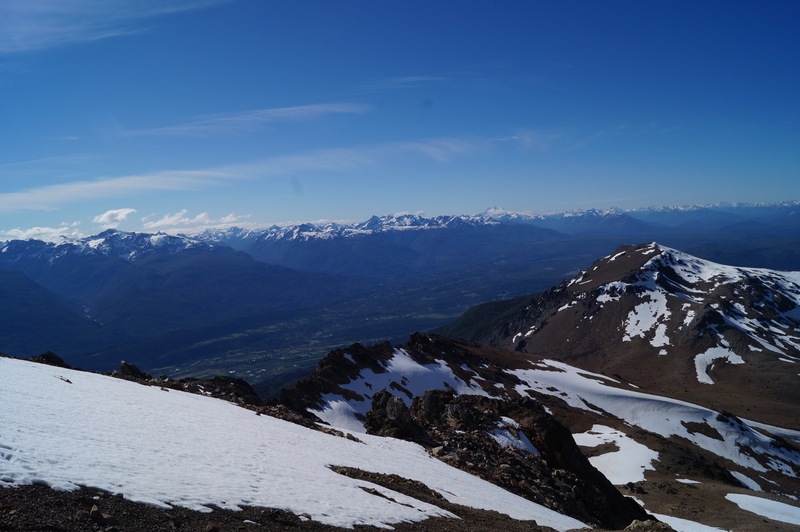 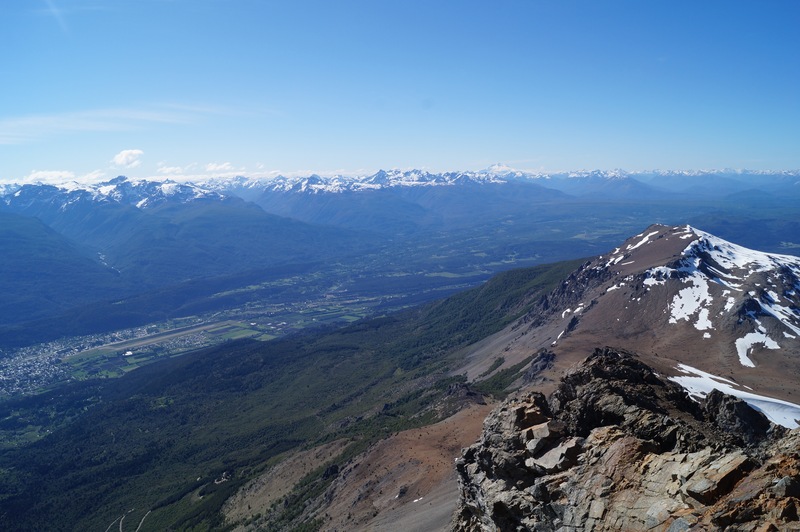 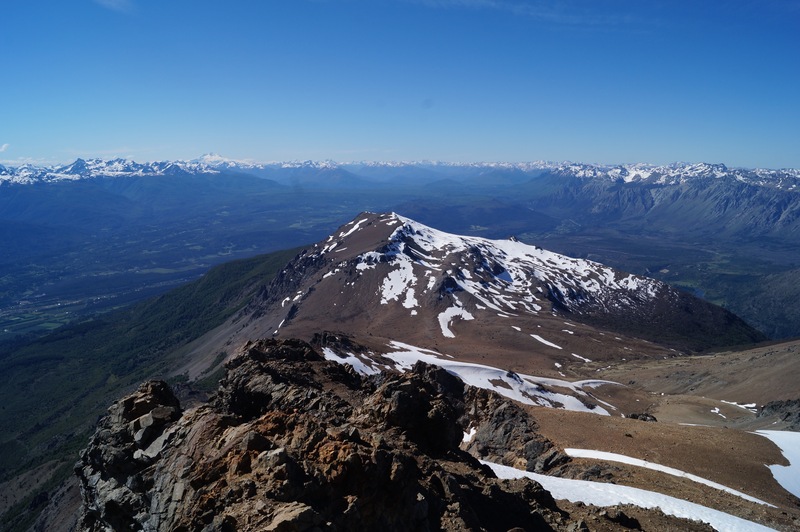 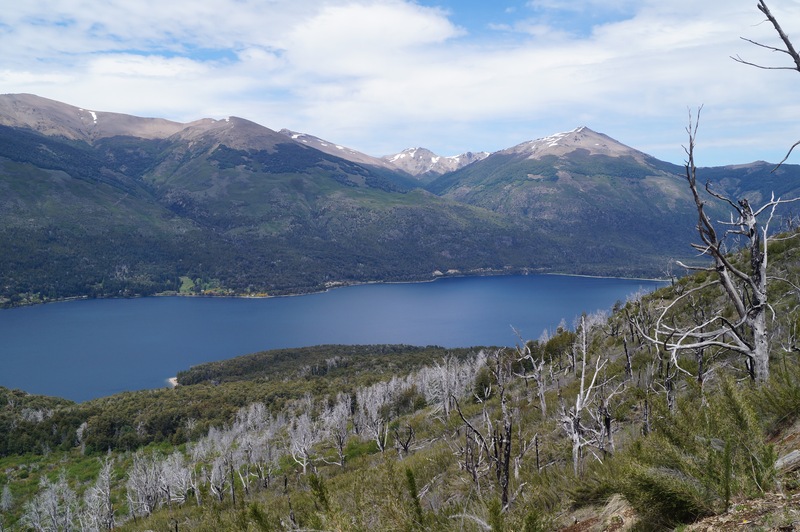 Bariloche is in the Argentine Lake District, and it’s very beautiful and varied; it has lakes, forests and mountains. 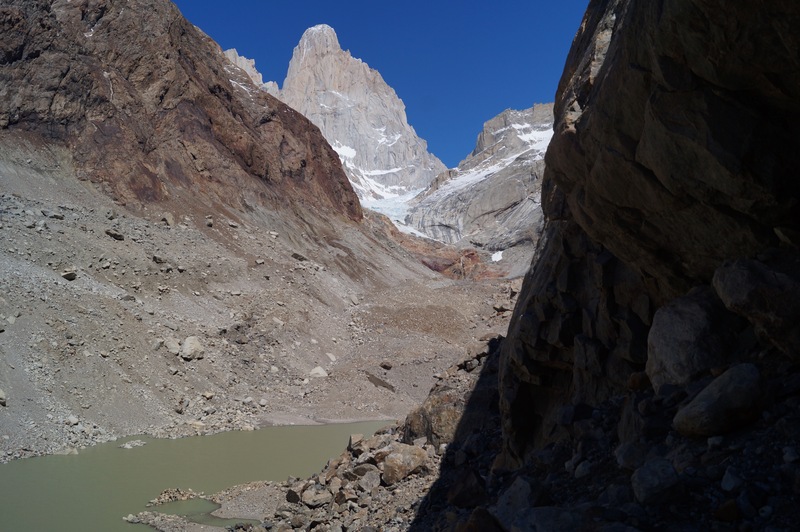 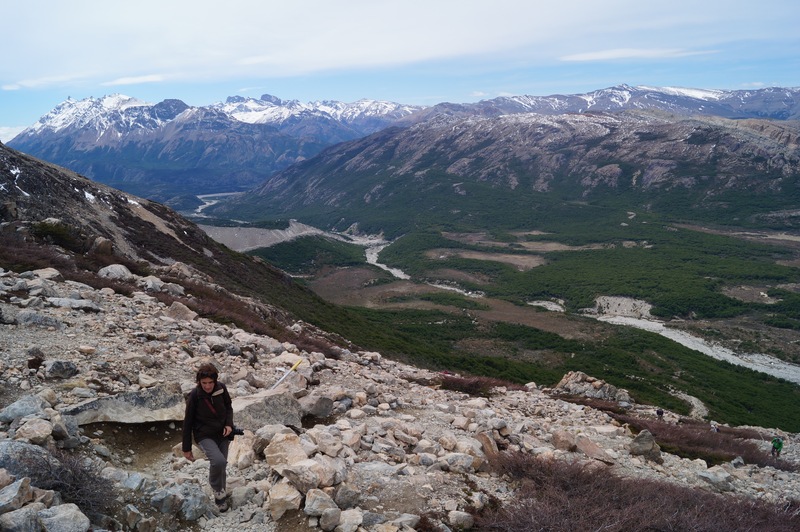 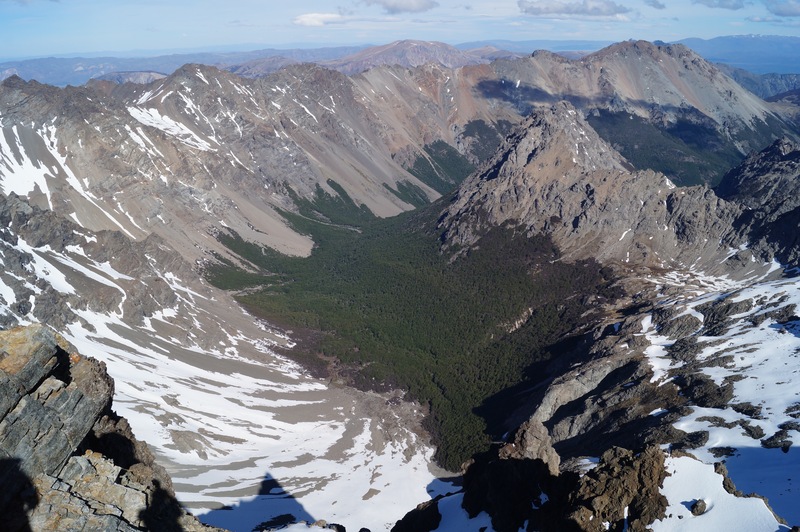 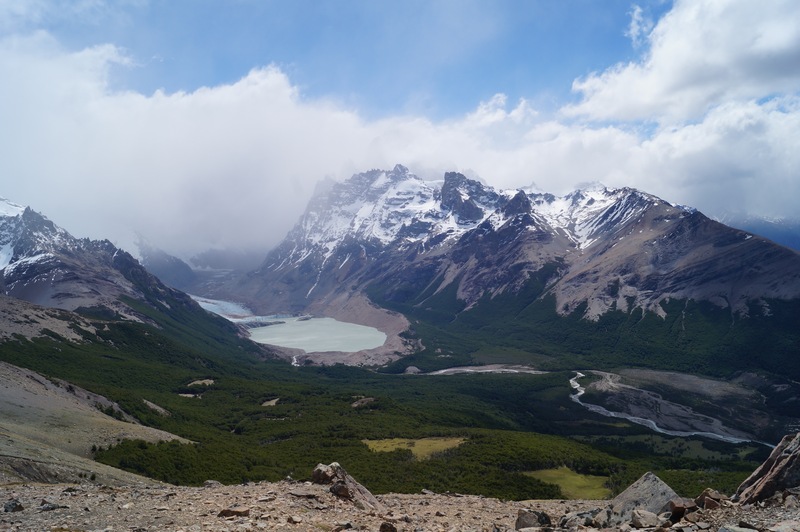 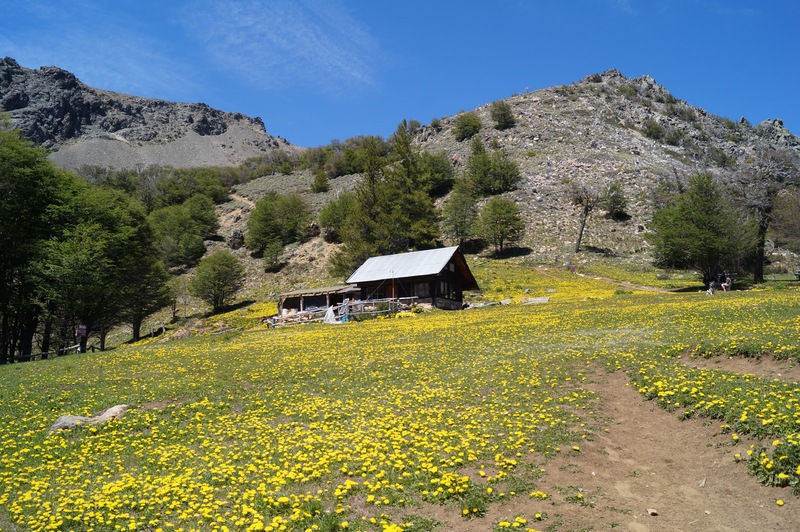 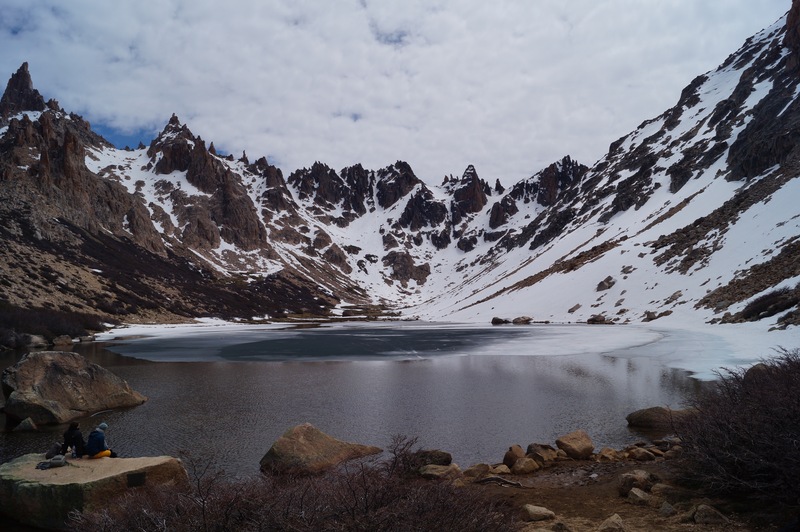 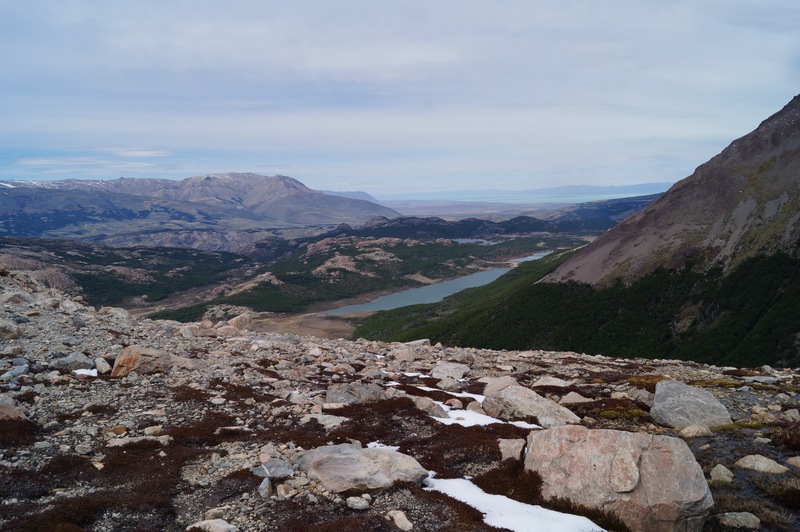 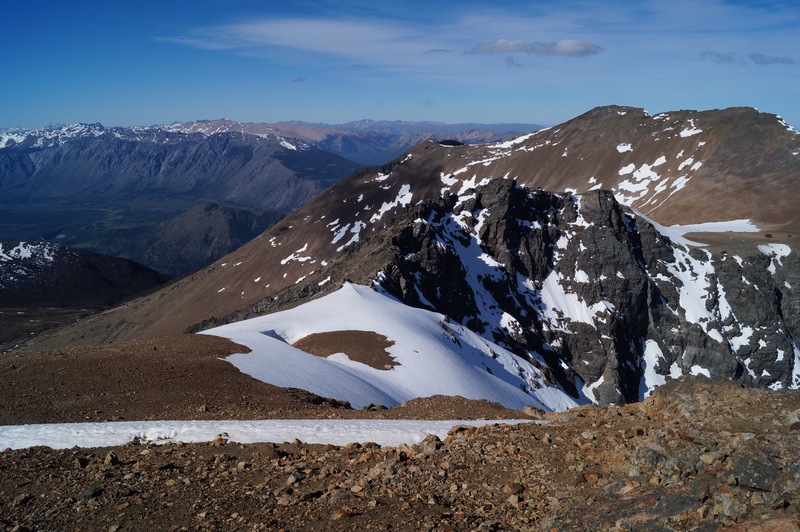 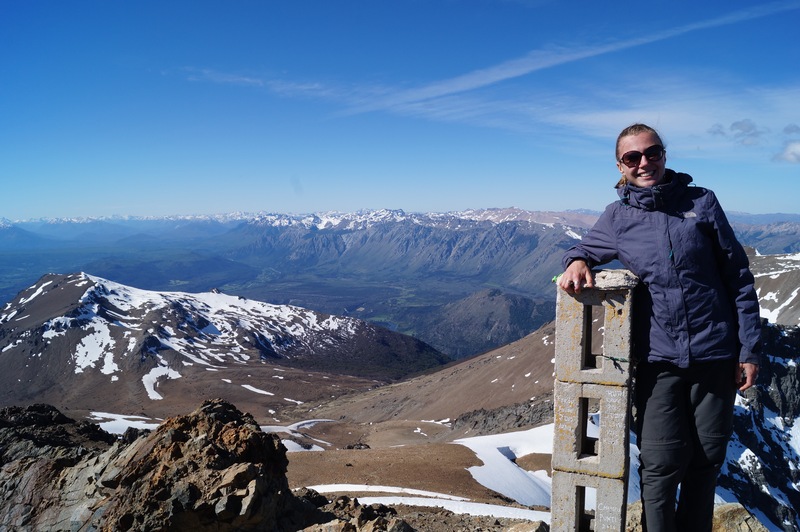 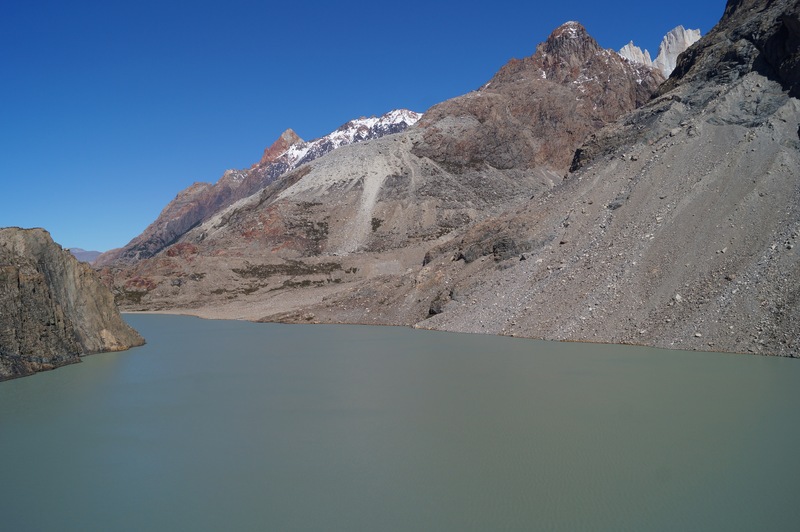 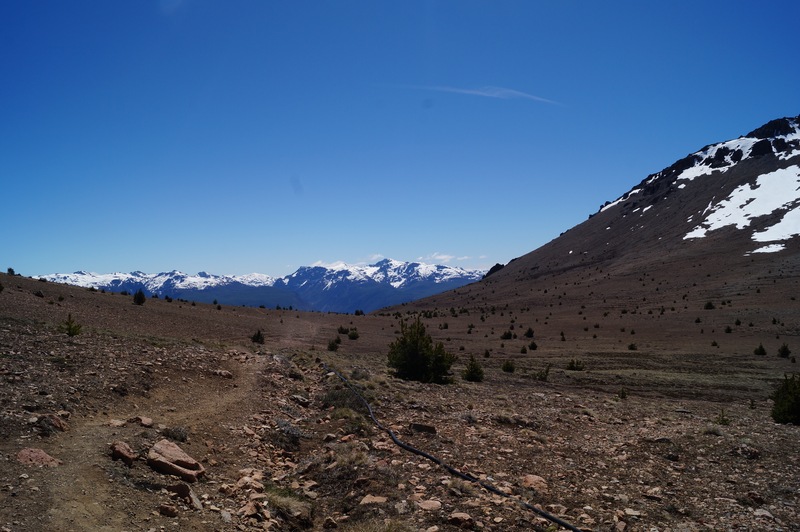 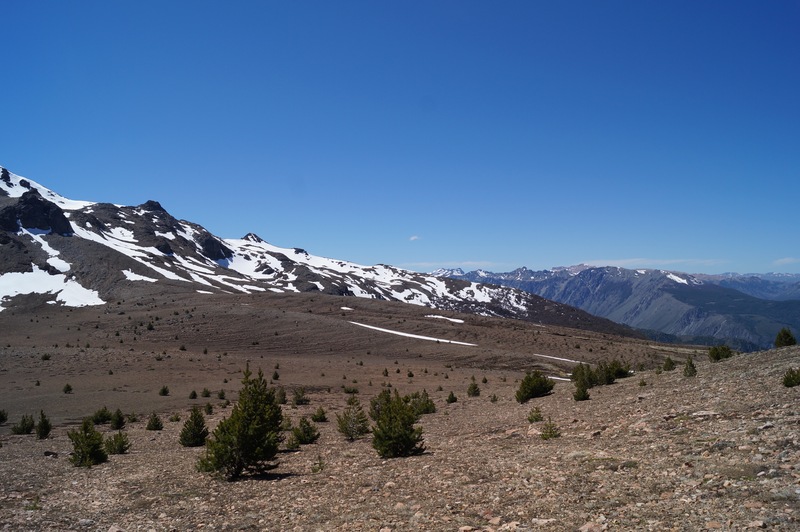 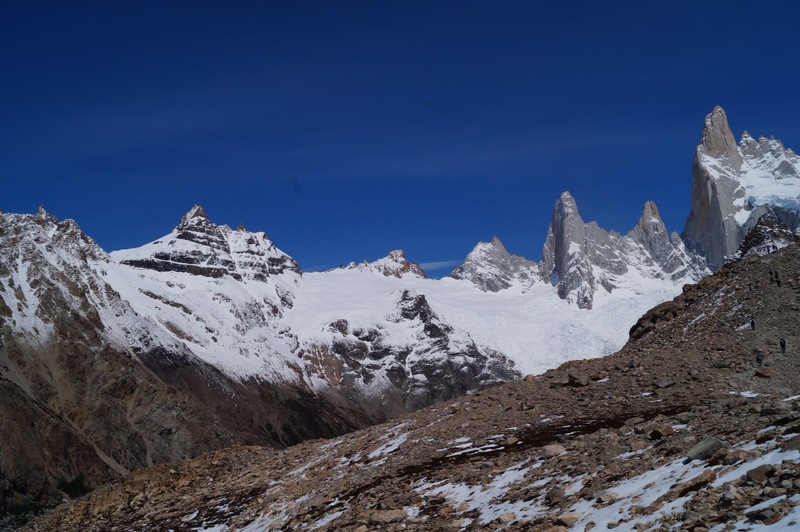 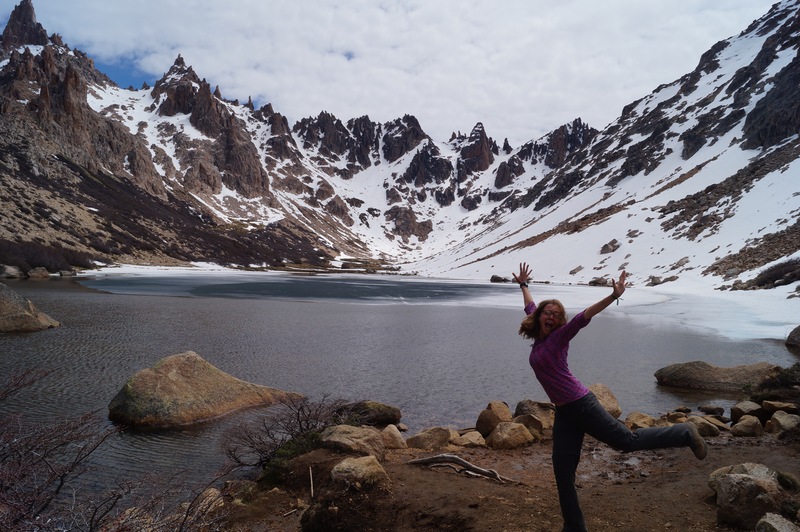 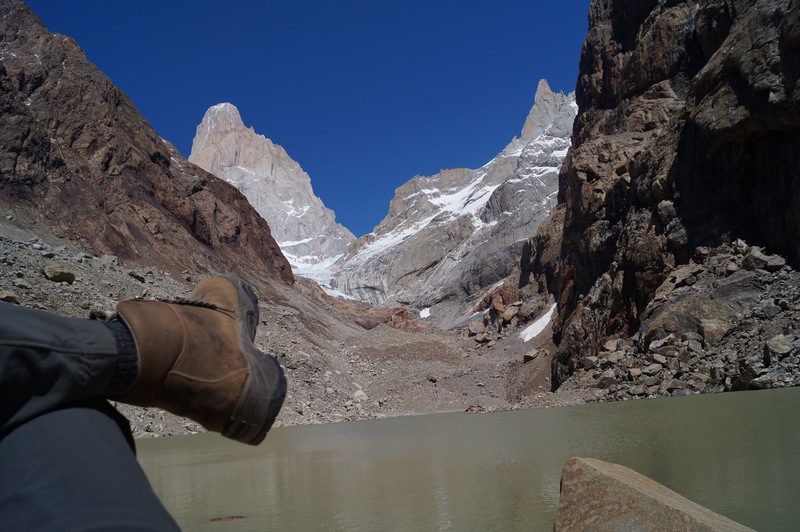 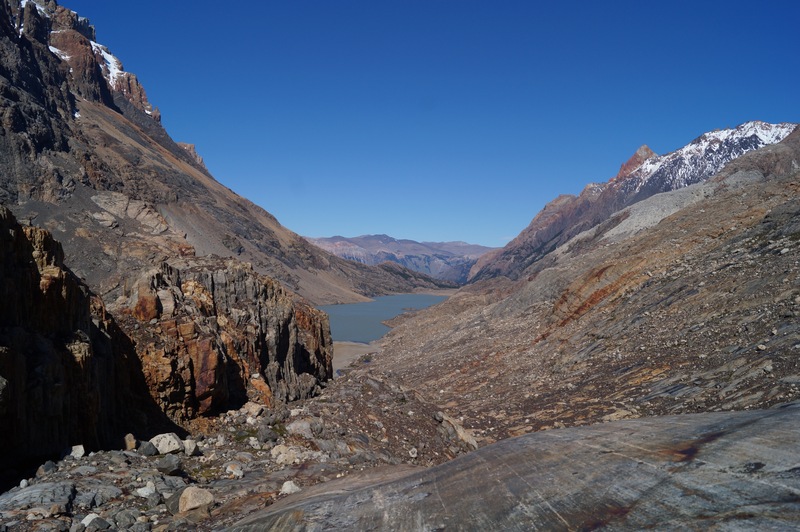 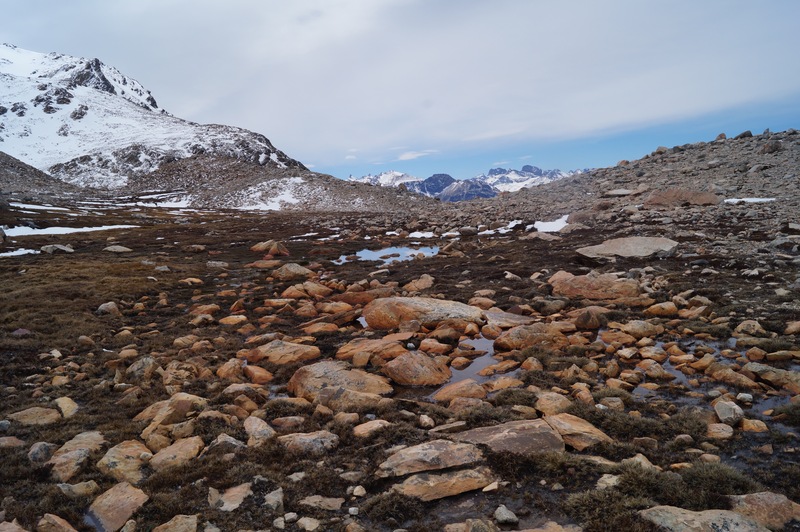 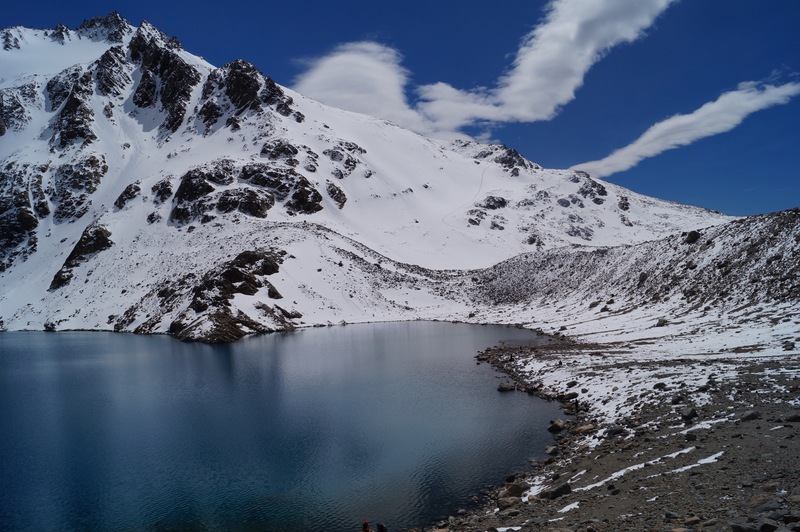 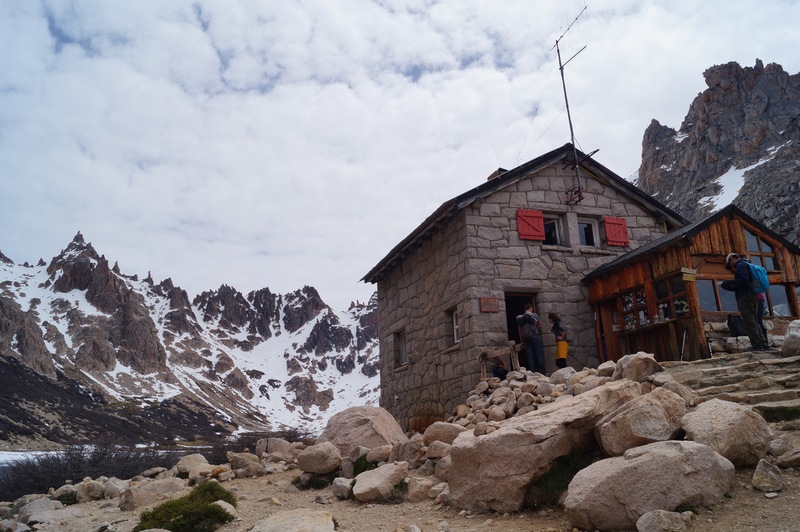 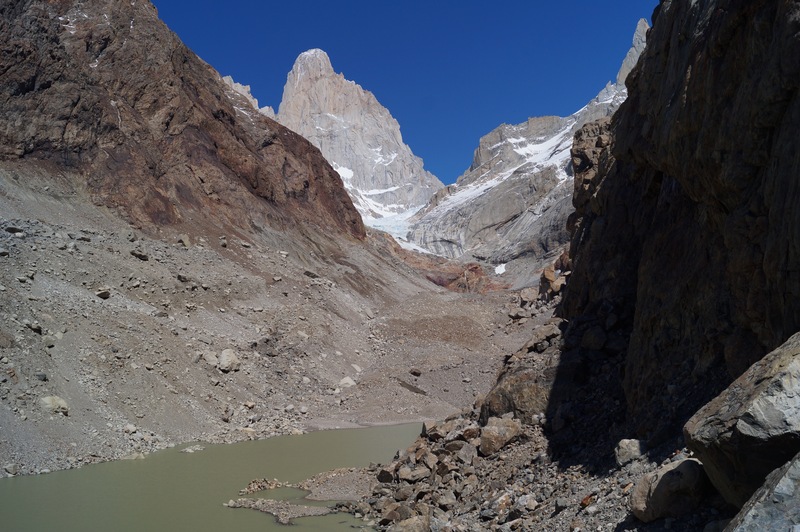 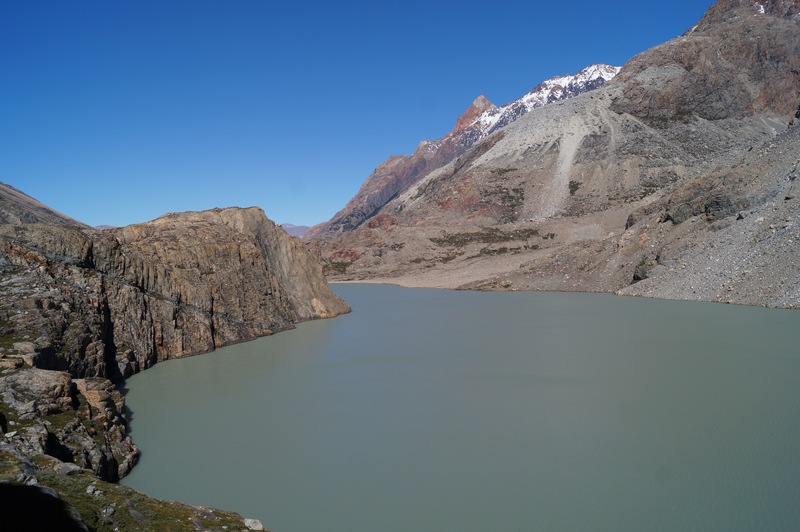 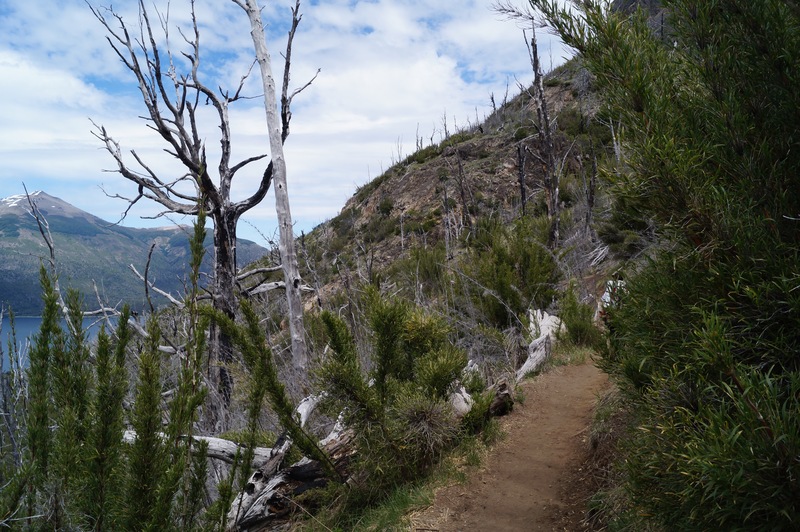 There is a lot of hiking you can do, but I’ve only had time for a hike to Refugio Frey. 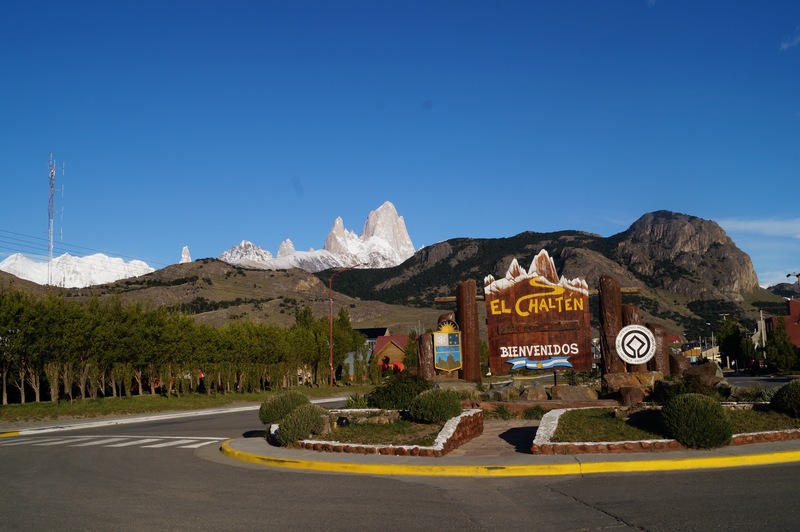 I decided to take a bus to el Bolsón that same day so I really had to rush, and managed to do it in 5 hours instead of 8, which is how long it normally takes! 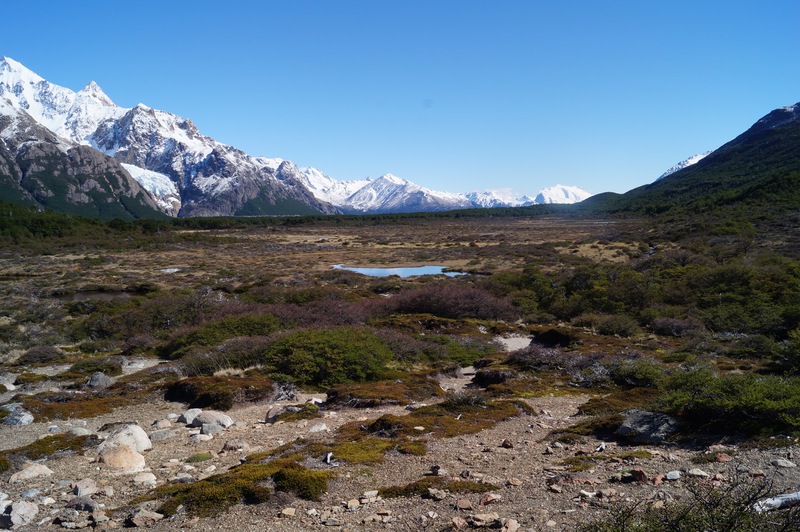 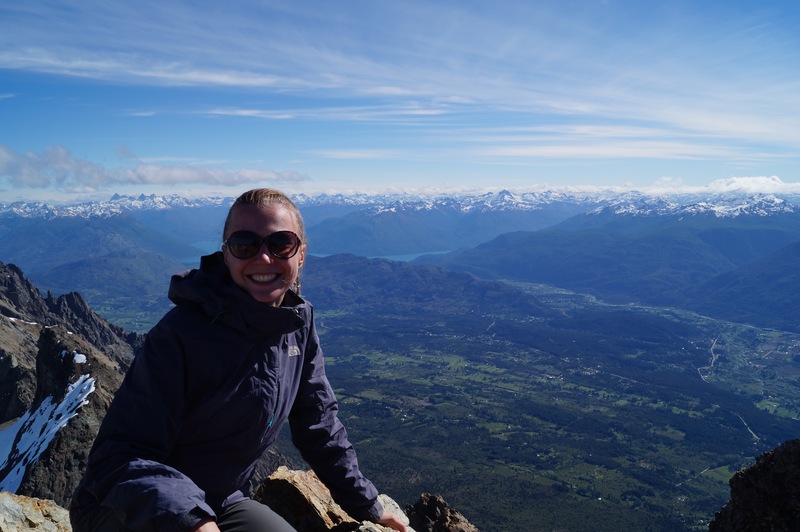 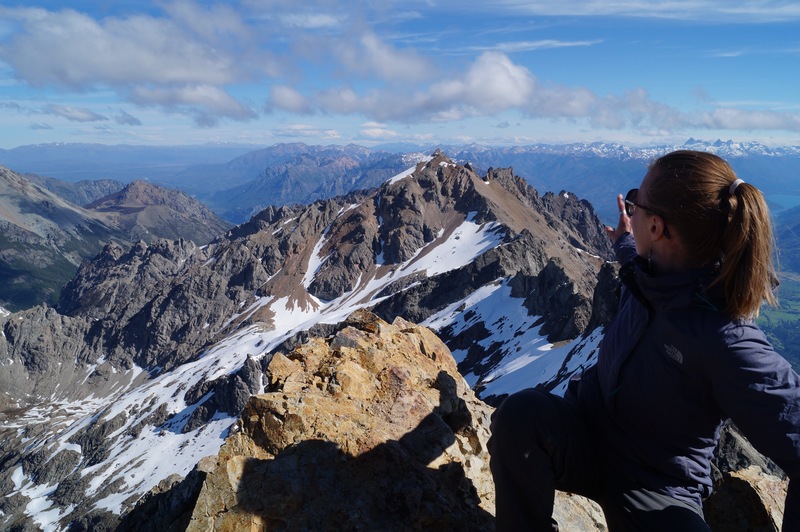 I also went on a tour to see the black glacier and the Nahuel Huapi national park. 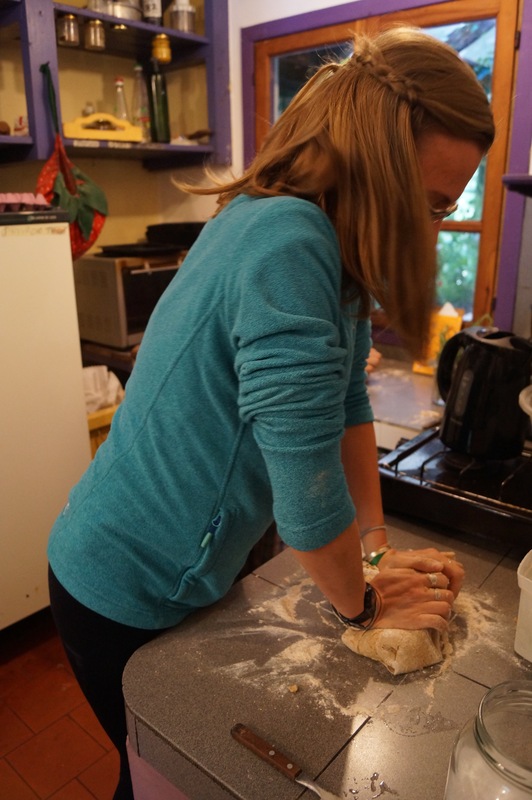 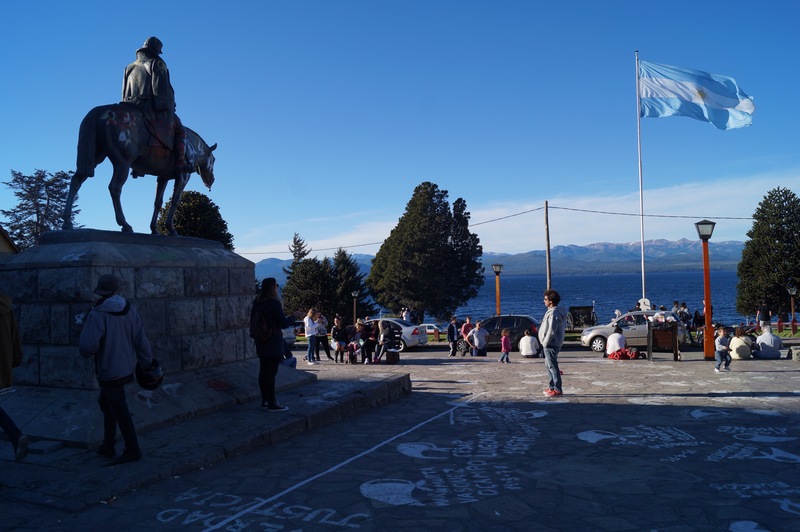 One of my favourite places in Bariloche was the Jauja ice cream shop… best ice cream I’ve ever had.